Granisetron was developed by chemists working at the British drug company Beecham around 1988 and is available as a generic. It is produced byRoche Laboratories under the trade name Kytril. The drug was approved in the United Kingdom in 1991 and in United States in 1994 by the FDA. A granisetron transdermal patch with the trade name Sancuso was approved by the US FDA on September 12, 2008. Sancuso is manufactured by ProStrakan, Inc., a pharmaceutical company headquartered in Bedminster, NJ, with global headquarters in Scotland. Granisetron is metabolized slowly by the liver, giving it a longer than average half-life. One dose usually lasts 4 to 9 hours and is usually administered once or twice daily. This drug is removed from the body by the liver and kidneys. 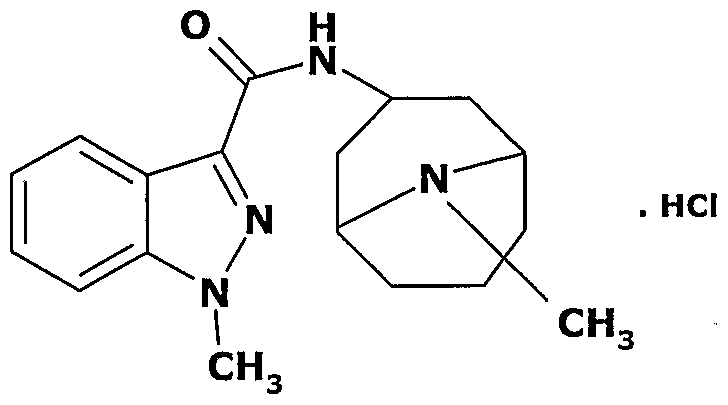 Granisetron hydrochloride is a 5-HT3 antagonist that was launched in 1991 at Roche for the oral treatment of nausea. Preclinical studies demonstrate that, in binding to 5-HT3 receptors, granisetron blocks serotonin stimulation and subsequent vomiting after emetogenic stimuli such as cisplatin. In 2008, FDA approval of a transdermal patch was obtained by ProStrakan for the prophylaxis of chemotherapy-induced nausea/vomiting. Commercial launch took place the same year. This formulation has been filed for approval in the E.U. for the prevention of chemotherapy-induced nausea and vomiting. E.U. approval was obtained in 2012. In 2013, launch took place in United Kingdom. In 2011, Chugai Pharmaceutical received approval in Japan for the prevention of nausea and vomiting associated with antineoplastic agent administration and radiotherapy. Translational Research has developed an intranasal formulation that is in the preclinical phase of development. Acrux has also studied a proprietary metered-dose transdermal system, but progress reports on this formulation are not presently available. Currently marketed formulations include an oral solution, film-coated tablets, injections and sachets. BioDelivery Sciences is developing a formulation of granisetron hydrochloride using its film technology (BioErodable MucoAdhesive) BEMA technology. Almac is developing the compound in phase I clinical studies for the prevention of chemotherapy-induced nausea/vomiting. It may be used for chemotherapy-induced nausea and vomiting and appears to work about the same as ondansetron. A number of medications including granisetron appear to be effective in controlling post-operative nausea and vomiting (PONV). It is unclear if it is better than or worse than other agents like droperidol, metoclopramide, ondansetron or cyclizine. Its efficacy has also been questioned with a research Dr. Yoshitaka Fujii having 12 published papers on this topic in Canadian Journal of Anesthesia retracted. A further five papers in the same journal on the same drug by Dr Fujii are considered indeterminate. Treatment of cyclic vomiting syndrome although there are no formal trials to confirm efficacy. Granisetron is a well-tolerated drug with few side effects. Headache, dizziness, and constipation are the most commonly reported side effects associated with its use. There have been no significant drug interactions reported with this drug’s use. It is broken down by the liver‘s cytochrome P450 system and it has little effect on the metabolism of other drugs broken down by this system. A New Drug Application (NDA) for APF530, a sustained-delivery form of Granisetron, was accepted in October 2012. APF530 will be targeted as anantiemetic, towards patients undergoing radiation therapy and chemotherapy. APF530 contains the 5-HT3 antagonist, granisetron, formulated in the Company’s proprietary Biochronomer™ drug delivery system, which allows therapeutic drug levels to be maintained for five days with a single subcutaneous injection. Originally developed at GlaxoSmithKline, granisetron hydrochloride was divested in September 2000 giving Roche global rights to the drug. Currently, granisetron is being distributed by Roche in France, Italy, South Africa, the U.K. and the U.S. and in Japan by Roche’s subsidiary Chugai. In 2007, a license agreement was signed between LG Life Sciences and ProStrakan in Korea. In 2008, the product was licensed to JapanBridge by ProStrakan for development and marketing in Asia for the prophylaxis of chemotherapy-induced nausea and vomiting. An additional license agreement was made in 2008 granting Paladin rights to granisetron transdermal patches for the treatment of nausea. In 2010, granisetron hydrochloride extended-release transdermal patches were licensed to Kyowa Hakko Kirin by Solasia Pharma in Taiwan, Hong Kong, Singapore and Malaysia for the prevention of chemotherapy-induced nausea and vomiting. Solasia retains full rights in Japan and China. PRNewswire. FDA Approves Sancuso, the First and Only Patch for Preventing Nausea and Vomiting in Cancer Patients Undergoing Chemotherapy. September 12, 2008. Billio, A; Morello, E; Clarke, MJ (2010 Jan 20). “Serotonin receptor antagonists for highly emetogenic chemotherapy in adults.”. The Cochrane database of systematic reviews (1): CD006272.PMID 20091591. Carlisle, JB; Stevenson, CA (2006 Jul 19). “Drugs for preventing postoperative nausea and vomiting.”. The Cochrane database of systematic reviews (3): CD004125. PMID 16856030. Drugs.com A.P. Pharma Announces PDUFA Action Date for APF530 New Drug Application Resubmission. October 16, 2012. Granisetron hydrochloride of formula (I). More particularly this invention relates to the preparation of Granisetron hydrochloride using methyl isobutyl ketone (MIBK) as a single solvent in presence of an organic base such as triethylamine. Granisetron hydrochloride is useful as an anti-emetic and marketed as Kytril by Roche. 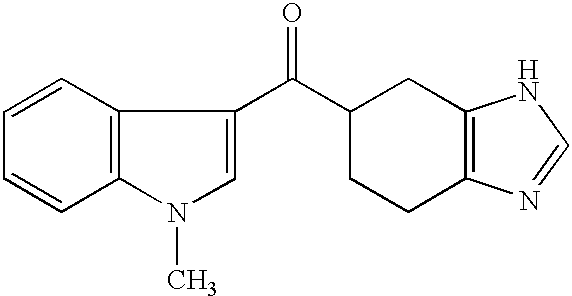 EP-A-0200444 provides certain 5-HT (5-hydroxytryptamine) antagonists, which are described as possessing a number of therapeutic utilities, inter alia, the prevention of vomiting following the administration of cytotoxic agents. 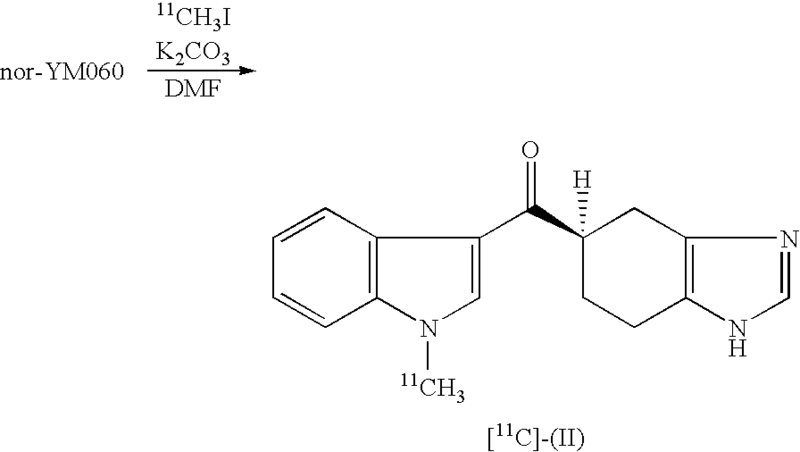 The compound described in Example 6 is endo-N-(9-methyl-9-azabicyclo[3.3.1]non-3-yl)- l-methylindazole-3-carboxamide, and this compound has been assigned the INN Granisetron. EP-A-0200444 also discloses that Granisetron can be prepared by reacting l-methylindazole-3-carboxylic acid chloride with endo-3-amino-9-methyl-9-azabicyclo [3.3.1] nonane. EP 748321 claims a process for preparing Granisetron or a pharmaceutical acceptable salt thereof. The process comprises the condensation of compound of formula (3) and (4) followed by de-protecting the intermediate compound of structure (2) to get the granisetron or optionally forming a pharmaceutically accepted salt of Granisetron. The scheme is presented below in which Q is a leaving group displaceable by a secondary amine wherein R may be represented as benzyl, benzyl substituted with one or more chloro, alkyl or alkoxy group, t-butyl, allyl or a t-butyldimethylsilylgroup. Granisetron, by cyclisation of a previously methylated compound of formula (C), which is shown below. It should be noted that the methylation prior to cyclisation is carried out with sodium hydride and methyl iodide as disclosed in example 1 (b) of said patent. 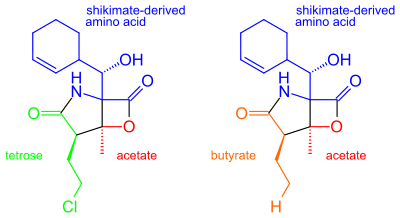 However, the cyclisation conditions applied to that compound of formula (C) may facilitate demethylation of the indazole of the Granisetron so obtained. 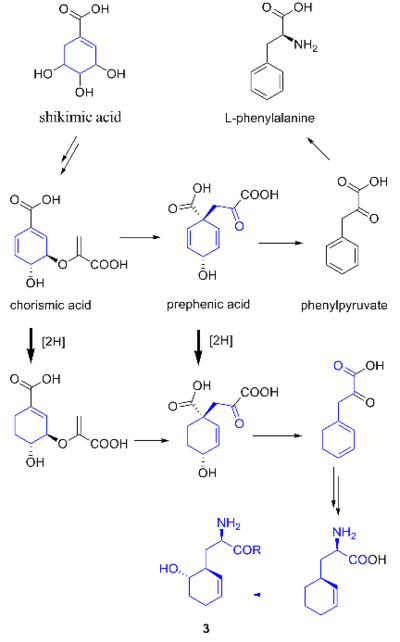 Thus, for example, in examples 2 and 3 of said patent described the cyclisation reaction, but although in example 2 the reaction leads to Granisetron, in example 3, when the reaction time is increased under the same conditions, quantitatively demethylated Granisetron is provided. The reaction time therefore has a consideration influence on the yield values in the second step of the process that is in the cyclisation, since the Granisetron provided by this process contains as an impurity significant amounts of demethylated Granisetron, which will have to be re-methylated in an additional step. base such as triethylamine for the preparation of compound of formula (I), hence we focused our research to develop an improved and efficient process for the preparation of the compound of formula (I) in substantial good yield and high purity. 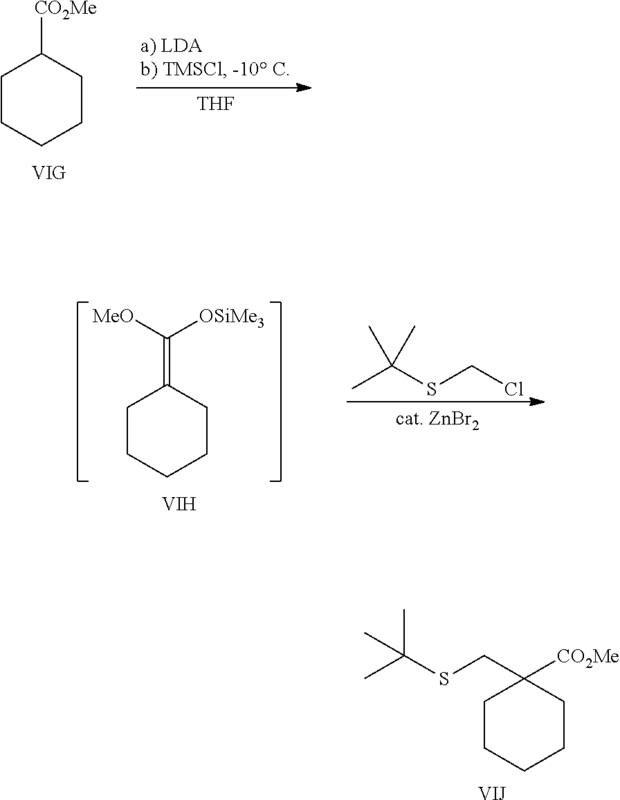 The synthesis of granisetron has been reported: The reaction of 1-methylindazole-3-carboxylic acid (I) with oxalyl chloride and DMF in dichloromethane gives 1-methylindazole-3-carbonyl chloride (II), which is then condensed with endo-9-methyl-9-azabicyclo[3.3.1]nonan-3-amine (III) by means of triethylamine in dichloromethane. (50OmL) solution and distilled the organic layer to obtain Granisetron freebase with HPLC purity 99.91%. 1Og of Granisetron freebase, 10OmL of methanol were placed in 250 mL RBF and heated the reaction mass to 400C to 550C to get a clear solution. The clear solution was filtered and treated with 3.5g of concentrated hydrochloric acid (36%) and diluted the reaction mass with 20OmL of MIBK, heated the reaction mass to 600C to 65°C and distilled the reaction mass up to 10 to 12 Volumes. The reaction mass was cooled and isolated 1Og of Granisetron hydrochloride with HPLC purity 99.91%. 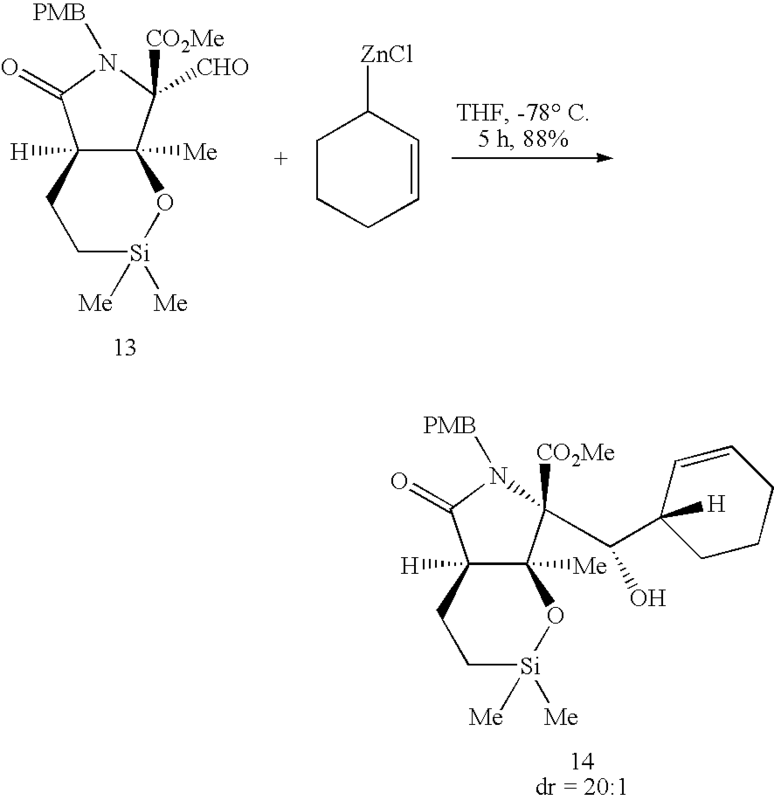 Example 3 Preparation of endo-N-(9-methyl-9-azabicyclo[3.3. l]non-3-yl)-indazole-3- carboxamide. A solution of 2-(N-methylbenzylidenehydrazino)-α-oxophenyl-[endo-N-(9- methyl-9-azabicyclo[3.3.1]non-3-yl)] carboxamide(0.536 g) in methanol (8 ml) was treated with 2N hydrochloric acid (0.4 ml) at room temperature. A rapid colour change from orange to green was observed. The solution was stirred for 24 hours then evaporated to the give the crude endo-N-(9-methyl-9-azabicyclo[3.3.1] non-3-yl)-indazole-3-carboxamide (0.630g). Example 4 Preparation of endo-N-(9-methyl-9-azabicyclo[3.3.1]non-3-yl)-l-methylindazole- 3-cjχboxamide (granisetron). 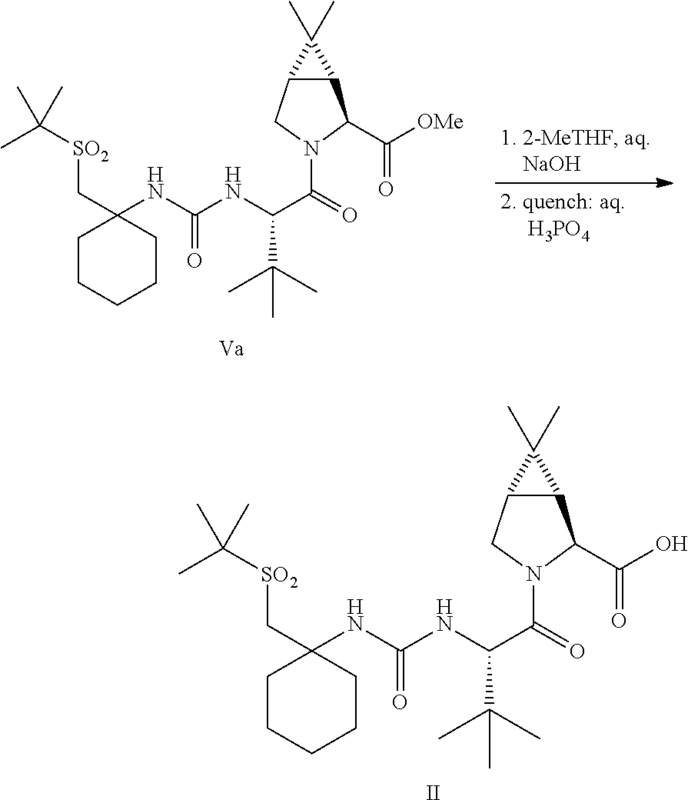 Sodium hydride (72 mg, 60% dispersion in oil) was added to a solution of endo- N-(9-methyl-9-azabicyclo[3.3. l]non-3-yl)-indazole-3-carboxamide (0.130g) in dry tetrahydrofuran (3.0 ml) under nitrogen at -50°C. The resultant solution was warmed to room temperature over 20 minutes then cooled to -40°C and treated with methyl iodide (0.015 ml). After 3 hours at room temperature HPLC analysis showed complete conversion to endo-N-(9-methyl-9-azabicyclo[3.3.1] non-3-yl)- l-methy-indazole-3-carboxamide. Water (10 ml) was added and the mixture extracted with ethyl acetate (2x 20 ml). The extracts were dried (MgSO4) ^ evaporated to give endo-N-(9-methyl-9-azabicyclo[3.3.1]non-3-yl)-l- methylindazole-3-carboxamide 50 mg (41%). MS 313 (M+H)+. This is the fifth Blog Post in a series examining Duchenne Muscular Dystrophy (DMD) in the rare disease and orphan drug space. This Blog Post discusses the EspeRare Foundation and how the organization is using repositioning or repurposing of an old drug to benefit DMD. • Repositioned drug decreases the development time and cost of developing a drug. NOTE….Nereus Pharmaceuticals was acquired by Triphase Research and Development in 2012.
mp, 168–170° C. (authentic sample: 168–170° C., 169–171° C. in Angew. Chem. Int. Ed., 2003, 42, 355–357); mixture mp, 168–170C. HRMS (ESI) calcd. for (M−H)− C15H19ClNO4 312.1003, found 312.1003. Marizomib, a highly potent proteasome inhibitor, is in early clinical development at Triphase Research and Development I Corp for the treatment of relapsed or relapsed/refractory multiple myeloma. Phase I clinical trials have also been carried out for the treatment of solid tumors and lymphoma; however, no recent developments have been reported for these studies. HDAC inhibitors halt tumor cell differentiation and growth, and when combined with marizomib in preclinical in vitro and in vivo studies, show additive and synergistic antitumor activities. The compound was discovered from a new marine-obligate gram-positive actinomycete (Salinispora tropica). Preclinical studies suggest that this next-generation compound may be superior to other proteasome inhibitors, with broader target inhibition, faster onset and longer duration of action, higher potency, and oral and intravenous availability. By inhibiting proteasomes, marizomib prevents the breakdown of proteins involved in signal transduction, which blocks growth and induces apoptosis in cancer cells. In 2013, orphan drug designation was assigned in the U.S. for the treatment of multiple myeloma. The compound was originally developed by Nereus Pharmaceuticals, which was acquired by Triphase Research and Development in 2012. Marizomib (NPI-0052) is an oral, irreversible ββ-lactone derivative that binds selectively to the active proteasomal sites. In vivo studies with marizomib demonstrate reduced tumor growth without significant toxicity in myeloma xenograft models. A phase I trial in refractory and relapsed MM is under way. Salinosporamide A is a potent proteasome inhibitor used as an anticancer agent that recently entered phase I human clinical trials for the treatment of multiple myeloma only three years after its discovery. This novel marine natural product is produced by the recently described obligate marine bacteria Salinispora tropica and Salinispora arenicola, which are found in ocean sediment. Salinosporamide A belongs to a family of compounds, known collectively as salinosporamides, which possess a densely functionalized γ-lactam-β-lactone bicyclic core. Salinosporamide A was discovered by William Fenical and Paul Jensen from Scripps Institution of Oceanography in La Jolla, CA. 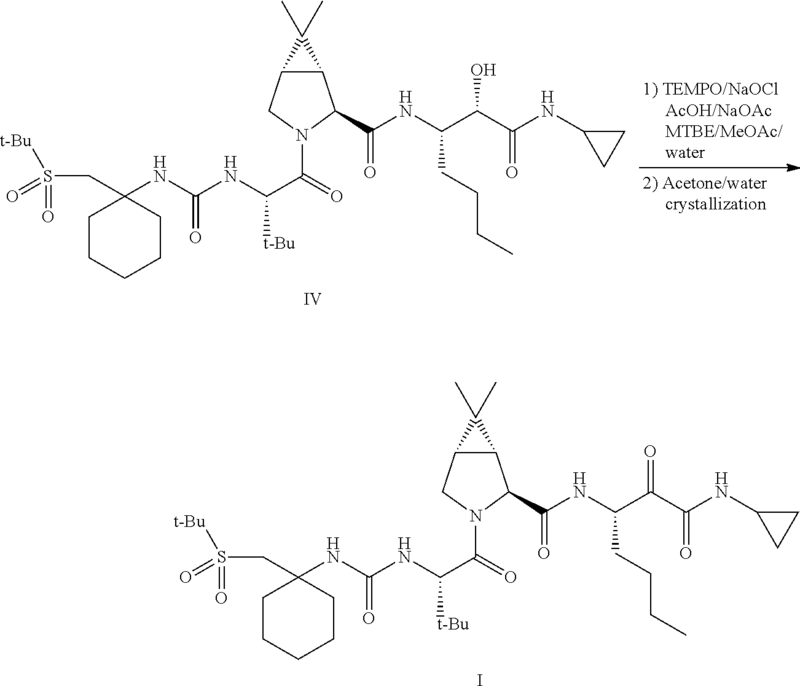 In preliminary screening, a high percentage of the organic extracts of cultured Salinospora strains possessed antibiotic and anticancer activities, which suggests that these bacteria are an excellent resource for drug discovery.Salinospora strain CNB-392 was isolated from a heat-treated marine sediment sample and cytotoxicity-guided fractionation of the crude extract led to the isolation of salinosporamide A. Although salinosporamide A shares an identical bicyclic ring structure with omuralide, it is uniquely functionalized. Salinosporamide A displayed potent in vitro cytotoxicity against HCT-116 human colon carcinoma with an IC50 value of 11 ng mL-1. This compound also displayed potent and highly selective activity in the NCI’s 60-cell-line panel with a mean GI50 value (the concentration required to achieve 50% growth inhibition) of less than 10 nM and a greater than 4 log LC50 differential between resistant and susceptible cell lines. The greatest potency was observed against NCI-H226 non-small cell lung cancer, SF-539 CNS cancer, SK-MEL-28 melanoma, and MDA-MB-435 breast cancer (all with LC50 values less than 10 nM). Salinosporamide A was tested for its effects on proteasome function because of its structural relationship to omuralide. When tested against purified 20S proteasome, salinosporamide A inhibited proteasomal chymotrypsin-like proteolytic activity with an IC50 value of 1.3 nM. 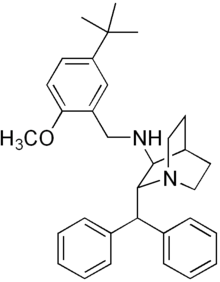 This compound is approximately 35 times more potent than omuralide which was tested as a positive control in the same assay. Thus, the unique functionalization of the core bicyclic ring structure of salinosporamide A appears to have resulted in a molecule that is a significantly more potent proteasome inhibitor than omuralide. Salinosporamide A inhibits proteasome activity by covalently modifying the active site threonine residues of the 20S proteasome. It was originally hypothesized that salinosporamide B was a biosynthetic precursor to salinosporamide A due to their structural similarities. It was thought that the halogenation of the unactivated methyl group was catalyzed by a non-heme iron halogenase.Recent work using 13C-labeled feeding experiments reveal distinct biosynthetic origins of salinosporamide A and B. While they share the biosynthetic precursors acetate and presumed β-hydroxycyclohex-2′-enylalanine (3), they differ in the origin of the four-carbon building block that gives rise to their structural differences involving the halogen atom. A hybrid polyketide synthase-nonribosomal peptide synthetase (PKS-NRPS) pathway is most likely the biosynthetic mechanism in which acetyl-CoA and butyrate-derived ethylmalonyl-CoA condense to yield the β-ketothioester (4), which then reacts with (3) to generate the linear precursor (5). 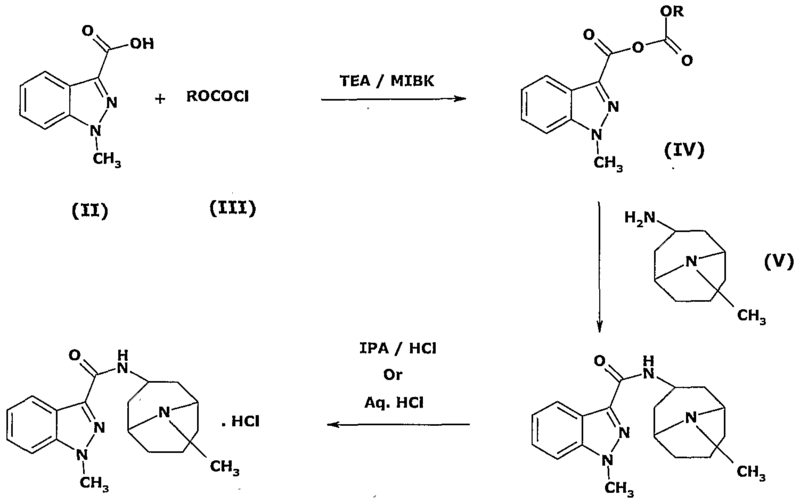 The first stereoselective synthesis was reported by Rajender Reddy Leleti and E. J.Corey. 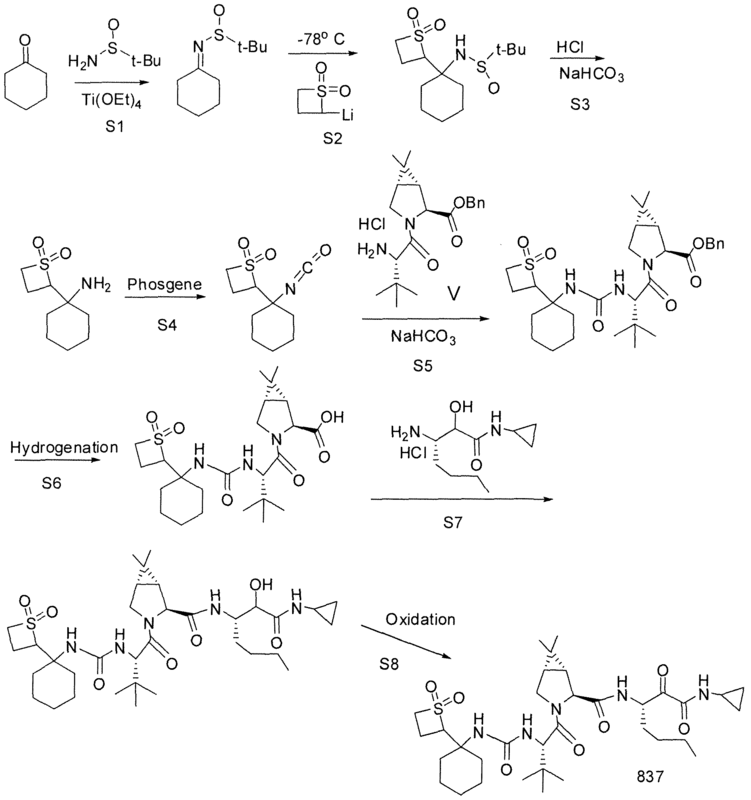 Later several routes to the total synthesis of salinosporamide A have been reported. In vitro studies using purified 20S proteasomes showed that salinosporamide A has lower EC50 for trypsin-like (T-L) activity than does Bortezomib. In vivo animal model studies show marked inhibition of T-L activity in response to salinosporamide A, whereas bortezomib enhances T-L proteasome activity. Initial results from early-stage clinical trials of salinosporamide A in relapsed/refractory multiple myeloma patients were presented at the 2011 American Society of Hematology annual meeting. Further early-stage trials of the drug in a number of different cancers are ongoing. Feling RH, Buchanan GO, Mincer TJ, Kauffman CA, Jensen PR, Fenical W (2003). “Salinosporamide A: a highly cytotoxic proteasome inhibitor from a novel microbial source, a marine bacterium of the new genus salinospora”. Angew. Chem. Int. Ed. Engl. 42 (3): 355–7.doi:10.1002/anie.200390115. PMID 12548698. Chauhan D, Catley L, Li G et al. (2005). “A novel orally active proteasome inhibitor induces apoptosis in multiple myeloma cells with mechanisms distinct from Bortezomib”. Cancer Cell 8 (5): 407–19.doi:10.1016/j.ccr.2005.10.013. PMID 16286248. K. Lloyd, S. Glaser, B. Miller, Nereus Pharmaceuticals Inc.
Beer LL, Moore BS (2007). “Biosynthetic convergence of salinosporamides A and B in the marine actinomycete Salinispora tropica”. Org. Lett. 9 (5): 845–8.doi:10.1021/ol063102o. PMID 17274624. Vaillancourt FH, Yeh E, Vosburg DA, Garneau-Tsodikova S, Walsh CT (2006). “Nature’s inventory of halogenation catalysts: oxidative strategies predominate”. Chem. Rev.106 (8): 3364–78. doi:10.1021/cr050313i.PMID 16895332. Tsueng G, McArthur KA, Potts BC, Lam KS (2007). “Unique butyric acid incorporation patterns for salinosporamides A and B reveal distinct biosynthetic origins”. Applied Microbiology and Biotechnology 75 (5): 999–1005. doi:10.1007/s00253-007-0899-7.PMID 17340108. Reddy LR, Saravanan P, Corey EJ (2004). “A simple stereocontrolled synthesis of salinosporamide A”. J. Am. Chem. Soc. 126 (20): 6230–1. doi:10.1021/ja048613p.PMID 15149210. Ling T, Macherla VR, Manam RR, McArthur KA, Potts BC (2007). 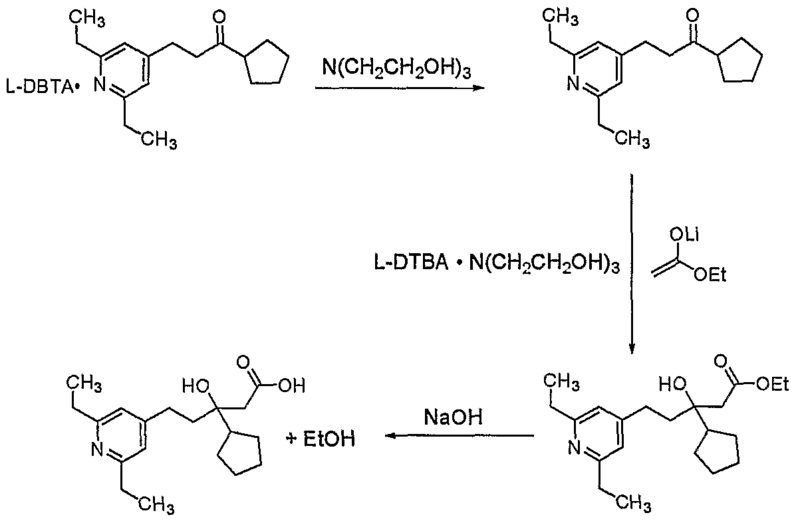 “Enantioselective Total Synthesis of (-)-Salinosporamide A (NPI-0052)”.Org. Lett. 9 (12): 2289–92. doi:10.1021/ol0706051. PMID 17497868. Ma G, Nguyen H, Romo D (2007). 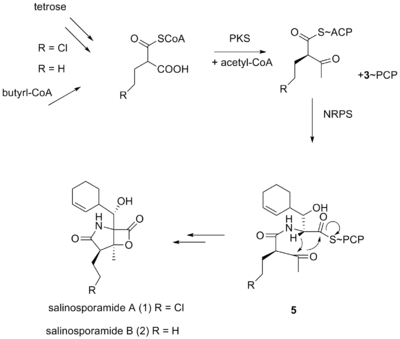 “Concise Total Synthesis of (±)-Salinosporamide A, (±)-Cinnabaramide A, and Derivatives via a Bis-Cyclization Process: Implications for a Biosynthetic Pathway?”. Org. Lett. 9 (11): 2143–6. doi:10.1021/ol070616u. PMC 2518687.PMID 17477539. Endo A, Danishefsky SJ (2005). 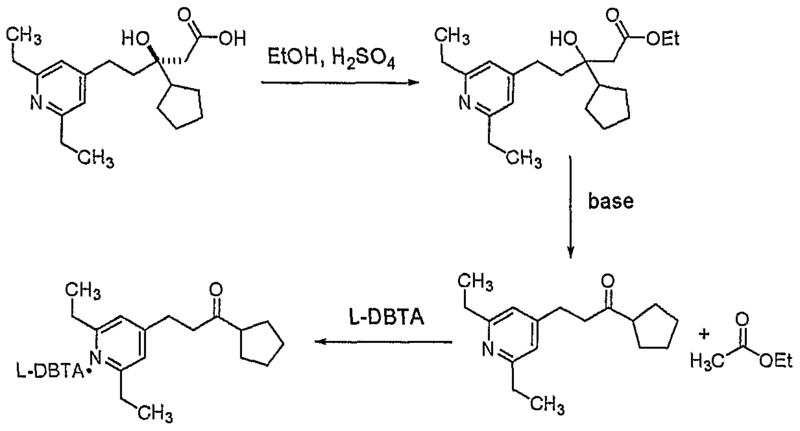 “Total synthesis of salinosporamide A”. J. Am. Chem. Soc. 127 (23): 8298–9.doi:10.1021/ja0522783. PMID 15941259. “Marizomib May Be Effective In Relapsed/Refractory Multiple Myeloma (ASH 2011)”. The Myeloma Beacon. 2012-01-23. Retrieved 2012-06-10. 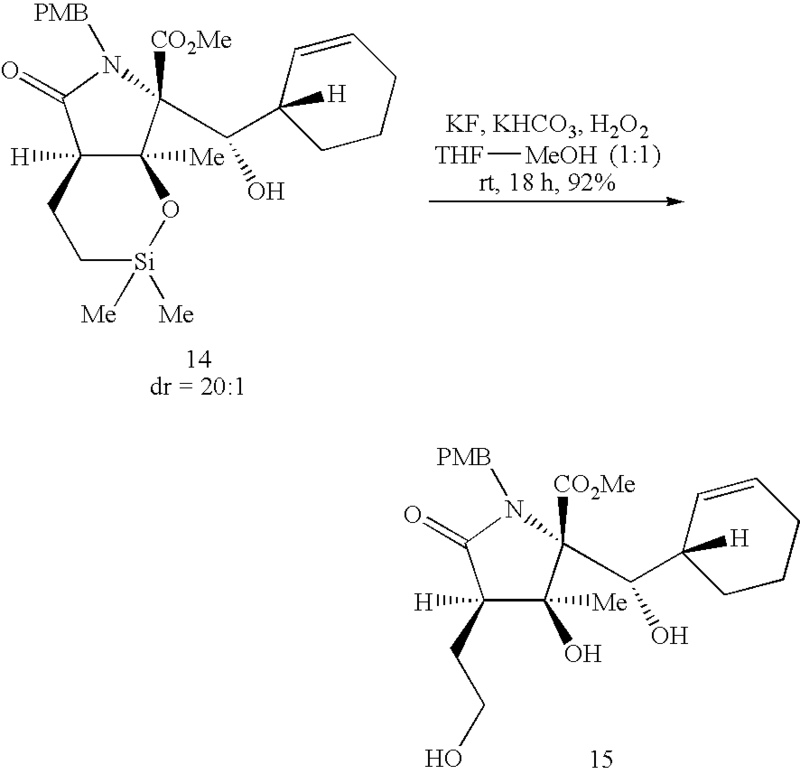 Salinosporamide A(1) was recently discovered by Fenical et al. as a bioactive product of a marine microorganism that is widely distributed in ocean sediments. Feeling, R. H.; Buchanan, G. O.; Mincer, T. J.; Kauffman, C. A.; Jensen, P. R.; Fenical, W., Angew. Chem. Int. Ed., 2003, 42, 355–357. 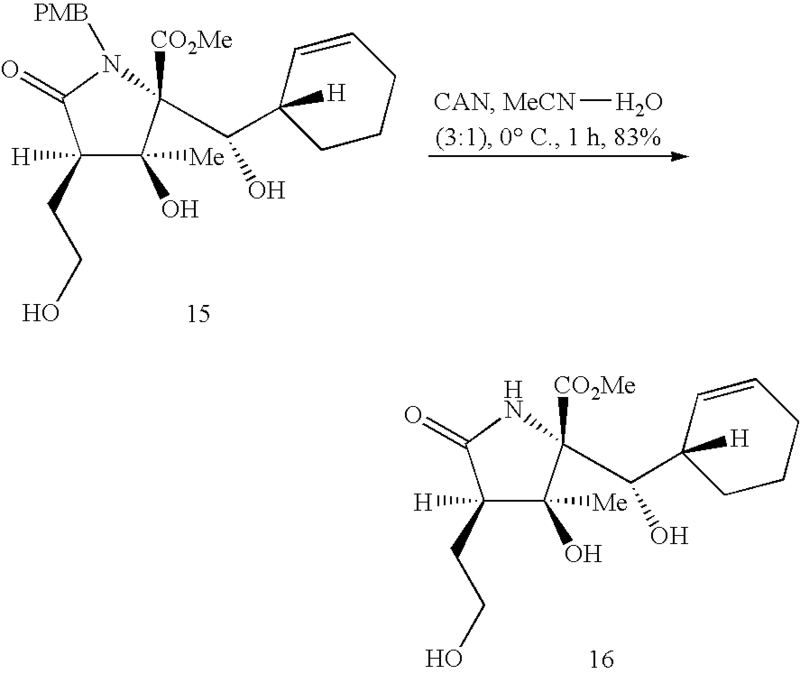 Structurally Salinosporamide A closely resembles the terrestrial microbial product omuralide (2a) that was synthesized by Corey et al. 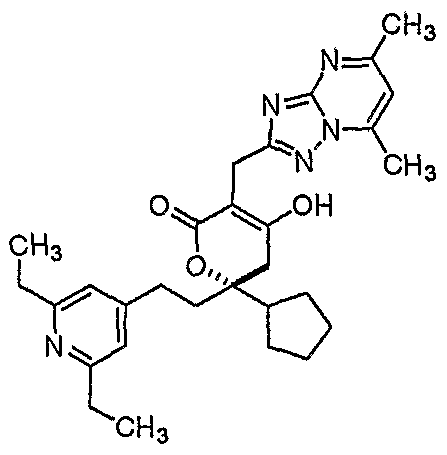 several years ago and demonstrated to be a potent inhibitor of proteasome function. See, (a) Corey, E. J.; Li, W. D., Z. Chem. Pharm. Bull., 1999, 47, 1–10; (b) Corey, E. J., Reichard, G. A.; Kania, R., Tetrahedron Lett., 1993, 34, 6977–6980; (c) Corey, E. J.; Reichard, G. A., J. Am. Chem. Soc., 1992, 114, 10677–10678; (d) Fenteany, G.; Standaert, R. F.; Reichard, G. A.; Corey, E. J.; Schreiber, S. L., Proc. Natl. Acad. Sci. USA, 1994, 91, 3358–3362. 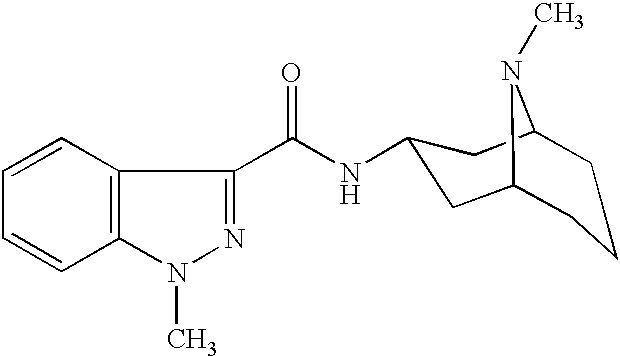 Omuralide is generated by β-lactonization of the N-acetylcysteine thiolester lactacystin (2b) that was first isolated by the Omura group as a result of microbial screening for nerve growth factor-like activity. See, Omura, S., Fujimoto, T., Otoguro, K., Matsuzaki, K., Moriguchi, R., Tanaka, H., Sasaki, Y., Antibiot., 1991, 44, 113–116; Omura, S., Matsuzaki, K., Fujimoto, T., Kosuge, K., Furuya, T., Fujita, S., Nakagawa, A., J. Antibiot., 1991, 44, 117–118. 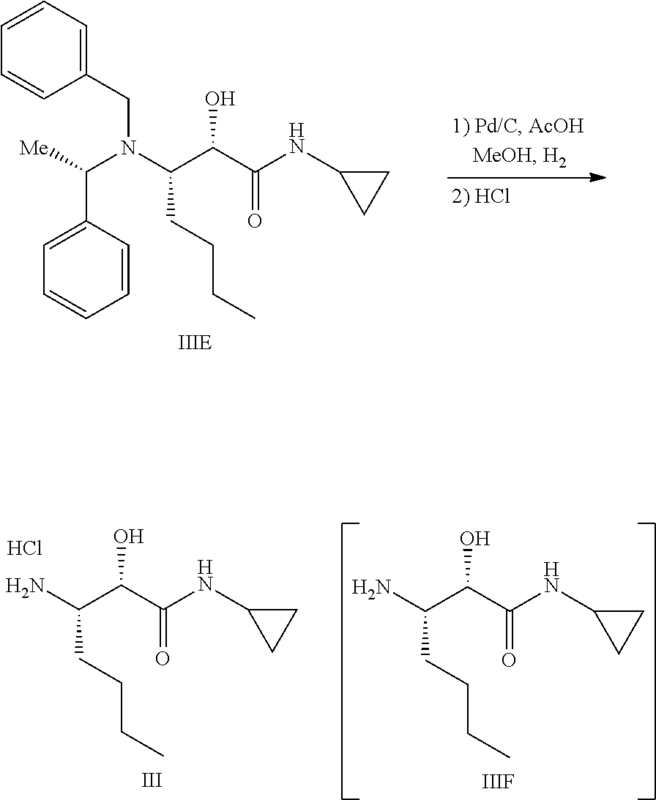 Salinosporamide A, the first compound Fenical’s group isolated from Salinospora, not only had a never-before-seen chemical structure 1, but is also a highly selective and potent inhibitor of cancer-cell growth. 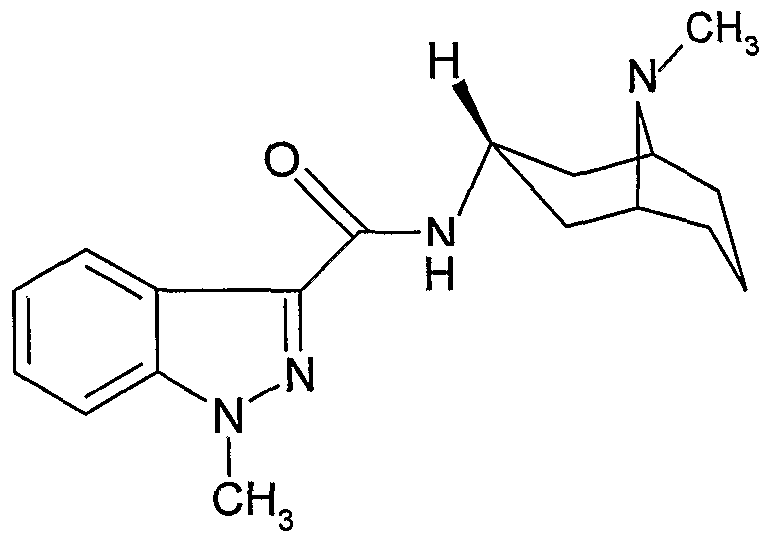 The compound is an even more effective proteasome inhibitor than omuralide and, in addition, it displays surprisingly high in vitro cytotoxic activity against many tumor cell lines (IC50values of 10 nM or less). Fenical et al. first found the microbe, which they’ve dubbed Salinospora, off the coasts of the Bahamas and in the Red Sea. See,Appl. Environ. Microbiol., 68, 5005 (2002). Fenical et al. have shown that Salinospora species requires a salt environment to live. Salinospora thrives in hostile ocean-bottom conditions: no light, low temperature, and high pressure. The Fenical group has now identified Salinosporain five oceans, and with 10,000 organisms per cm3 of sediment and several distinct strains in each sample; and according to press reports, they’ve been able to isolate 5,000 strains. See, Chemical & Engineering News, 81, 37 (2003). A mixture of (2S, 3R)-methyl 2-(4-methoxybenzamido)-3-hydroxybutanoate (3) (35.0 g, 131 mmol) and p-TsOH.H2O (2.5 g, 13.1 mmol) in toluene (400 mL) was heated at reflux for 12 h. The reaction mixture was diluted with water (200 mL) and extracted with EtOAc (3×200 mL). The combined organic layers were washed with water, brine and dried over Na2SO4. The solvent was removed in vacuo to give crude oxazoline as yellow oil. Flash column chromatography on silica gel (eluent 15% EtOAc-Hexanes) afforded the pure oxazoline (26.1 g, 80%) as solid. Rf=0.51 (50% ethyl acetate in hexanes), mp, 86–87° C.; [α]23 D+69.4 (c 2.0, CHCl3); FTIR (film) νmax: 2955, 1750, 1545, 1355, 1187, 1011, 810 cm−1; 1HNMR(CDCl3, 400 MHz): δ 7.87 (2H, d, J=9.2 Hz), 6.84 (2H, d, J=8.8 Hz), 4.90 (1H, m), 4.40 (1H, d, J=7.6 Hz), 3.79 (3H,s), 3.71 (3H, s), 1.49 (3H, d, J=6.0 Hz); 13C NMR (CDCl3, 100 MHz): δ 171.93, 165.54, 162.64, 130.52, 119.80, 113.85, 78.91, 75.16, 55.51, 52.73, 21.14; HRMS (ESI) calcd for C13H16NO4 (M+H)+.250.1079, found 250.1084. To a solution of LDA (50 mmol, 1.0 M stock solution in THF) was added HMPA (24 mL, 215 mmol) at −78° C. and then oxazoline 4 (12.45 g, 50 mmol, in 20 mL THF) was added dropwise with stirring at −78° C. for 1 h to allow complete enolate formation. Benzyloxy chloromethyl ether (8.35 mL, 60 mmol) was added at this temperature and after stirring the mixture at −78° C. for 4 h, it was quenched with water (50 mL) and warmed to 23° C. for 30 min. Then the mixture was extracted with ethyl acetate (3×50 mL) and the combined organic phases were dried (MgSO4) and concentrated in vacuo. The crude product was purified by column chromatography (silica gel, ethyl acetate/hexanes, 1:4 then 1:3) to give the benzyl ether 5 (12.7 g, 69%). Rf=0.59 (50% ethyl acetate in hexanes). [α]23 D−6.3 (c 1.0, CHCl3); FTIR (film) (νmax; 3050, 2975, 1724, 1642, 1607, 1252, 1027, 745, 697 cm−1; 1H NMR (CDCl3, 400 MHz): δ 7.96 (2H, d, J=9.2 Hz), 7.26 (5H, m), 6.90 (2H, J=8.8 Hz), 4.80 (1H, m), 4.61 (2H, s), 3.87 (3H, m), 3.81 (3H, s), 3.73 (3H, s), 1.34 (3H, d, J=6.8 Hz); 13C NMR (CDCl3, 100 MHZ): 6171.23, 165.47, 162.63, 138.25, 130.64, 128.52, 127.87, 127.77, 120.15, 113.87, 81.40, 79.92, 73.91, 73.43, 55.58, 52.45, 16.92; HRMS (ESI) calcd for C21H24O5 (M+H)+370.1654, found 370.1644. To a solution of oxazoline 5 (18.45 g, 50 mmol) in AcOH (25 mL) at 23° C. was added in portions NaCNBH3 (9.3 g, 150 mmol). The reaction mixture was then stirred at 40° C. for 12 h to allow complete consumption of the starting material. The reaction mixture was diluted with water (100 mL), neutralized with solid Na2CO3 and the aqueous layer was extracted with ethyl acetate (3×100 mL). The combined organic phases were dried over NaSO4 and concentrated in vacuo. The crude product was purified by column chromatography (silica gel, ethyl acetate/hexanes, 1:5) to give the N-PMB amino alcohol 6 (16.78 g, 90%). Rf=0.50 (50% ethyl acetate in hexanes). [α]23 D−9.1(c 1.0, CHCl3); FTIR (film) νmax; 3354, 2949, 1731, 1511, 1242, 1070, 1030, 820, 736, 697 cm−1; 1H NMR (CDCl3, 400 MHz): δ 7.32 (7H, m), 6.87 (2H, d, J=8.8 Hz), 4.55 (2H, m), 4.10 (1H, q, J=6.4 Hz), 3.85 (2H, dd, J=17.2, 10.0 Hz), 3.81 (3H, s,), 3.77 (3H, s), 3. 69 (2H, dd, J=22.8, 11.6 Hz), 3.22 (2H, bs), 1.16 (3H, d, J=6.0 Hz); 13C NMR (CDCl3, 100 MHz): δ 173.34, 159.03, 137.92, 132.51, 129.78, 128.67, 128.07, 127.98, 114.07, 73.80, 70.55, 69.82, 69.65, 55.51, 55.29, 47.68, 18.15; HRMS (ESI) calcd. for C21H28NO5 (M+H)+ 374.1967, found 374.1974. A solution of amino alcohol 6 (26.2 g, 68.5 mmol) in Et2O (200 mL) was treated with Et3N (14.2 mL, 102.8 mmol) and trimethylchlorosilane (10.4 mL, 82.2 mmol) at 23° C. and stirred for 12 h. After completion, the reaction mixture was diluted with ether (200 mL) and then resulting suspension was filtered through celite. The solvent was removed to furnish the crude product (31.2 g, 99%) in quantitative yield as viscous oil. A solution of this crude trimethylsilyl ether (31.1 g) in CH2Cl2 (200 mL) was charged with diisopropylethylamine (14.2 mL, 81.6 mmol) and then cooled to 0° C. Acryloyl chloride (6.64 mL, 82.2 mmol) was added dropwise with vigorous stirring and the reaction temperature was maintained at 0° C. until completion (1 h). The reaction mixture was then diluted with CH2Cl2 (100 mL) and the organic layer was washed with water and brine. The organic layer was separated and dried over Na2SO4. The solvent was removed to afford the crude acrylamide 7 as a viscous oil. The crude product was then dissolved in Et2O (200 mL) and stirred with 6N HCl (40 mL) at 23° C. for 1 h. The reaction mixture was diluted with water (100 mL) and concentrated to provide crude product. The residue was purified by column chromatography (silica gel, ethyl acetate/hexanes, 1:5 to 1:1) to give pure amide 7 (28.3 g, 96%) as colorless solid, mp 88–89° C.
Rf=0.40 (50% ethyl acetate in hexanes), [α]23 D−31.1 (c 0.45, CHCl3), FTIR (film) νmax; 3435, 2990, 1725, 1649, 1610, 1512, 1415, 1287, 1242, 1175, 1087, 1029, 732, 698 cm−1; 1H NMR (CDCl3, 500 MHz): δ 7.25 (5H, m), 7.15 (2H, d, J=6.0 Hz), 6.85 (2H, d, J=7.5 Hz), 6.38 (2H, d, J=6.0 Hz), 5.55 (1H, t, J=6.0 Hz), 4.81 (2H, s), 4.71 (1H, q, J=6.5 Hz), 4.35 (2H, s), 4.00 (1H, d, J=10.0 Hz), 3.80 (1H, d, J=10.0 Hz), 3.76 (3H, s), 3.75 (3H, s), 3.28 (1H, bs), 1.22 (3H, d, J=6.0 Hz); 13C NMR (CDCl3, 125 MHz): δ 171.87, 168.74, 158.81, 137.73, 131.04, 129.68, 128.58, 128.51, 127.94, 127.72, 127.20, 127.14, 114.21, 73.71, 70.42, 69.76, 67.65, 55.45, 52.52, 49.09, 18.88; HRMS (ESI) calcd. for C24H30NO6 (M+H)+428.2073, found 428.2073. 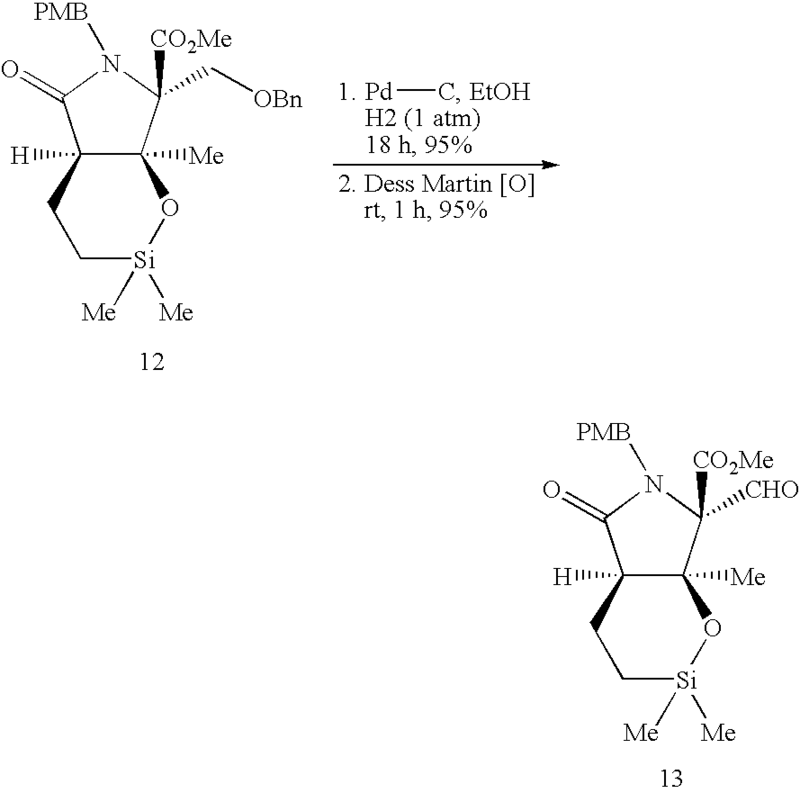 To a solution of amide 7 (10.67 g, 25.0 mmol) in CH2Cl2 (100 mL) was added Dess-Martin periodinane reagent (12.75 g, 30.0 mmol, Aldrich Co.) at 23° C. After stirring for 1 h, the reaction mixture was quenched with aq NaHCO3—Na2S2O3 (1:1, 50 mL) and extracted with ethyl acetate (3×50 mL). The organic phase was dried and concentrated in vacuo to afford the crude ketone. The crude product was purified by column chromatography (silica gel, ethyl acetate/hexanes) to give pure keto amide 8 (10.2 g, 96%). Rf=0.80 (50% ethyl acetate in hexanes), mp 85 to 86° C.; [α]23 D−12.8 (c 1.45, CHCl3); FTIR (film) νmax: 3030, 2995, 1733, 1717, 1510, 1256, 1178, 1088, 1027, 733, 697 cm−1; 1H NMR (CDCl3, 500 MHz): δ 7.30 (2H, d, J=8.0), 7.25 (3H, m), 7.11 (2H, m), 6.88 (2H, d, J=9.0 Hz), 6.38 (2H, m), 5.63 (1H, dd, J=8.5, 3.5 Hz), 4.93 (1H, d, J=18.5 Hz), 4.78 (1H, d, J=18.5, Hz), 4.27 (2H, m), 3.78 (3H, s), 3.76 (3H, s), 2.42 (3H, s); 13C NMR (CDCl3, 125 MHz): δ 198.12, 169.23, 168.62, 158.01, 136.95, 130.64, 130.38, 128.63, 128.13, 127.77, 127.32, 114.33, 77.49, 73.97, 70.66, 55.49, 53.09, 49.03, 28.24; HRMS (ESI) calcd. for C24H28NO6 (M+H)+ 426.1916, found 426.1909. 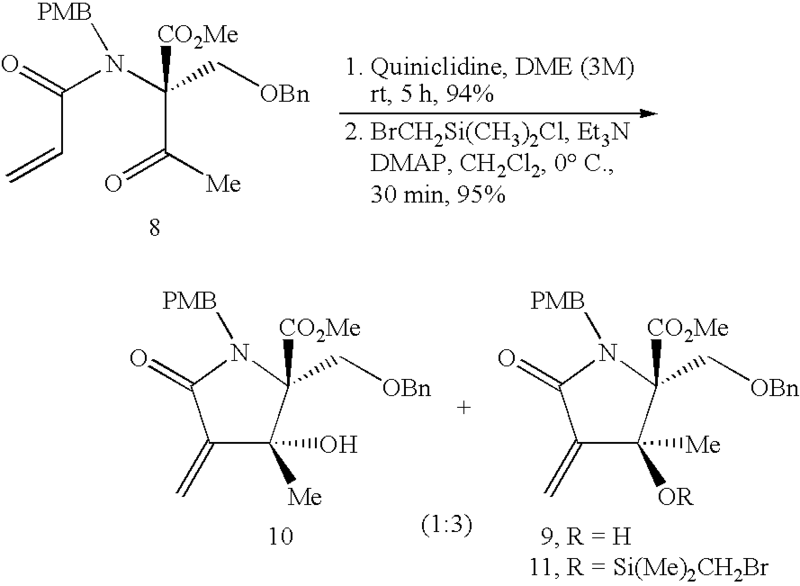 A mixture of keto amide 8 (8.5 g, 20.0 mmol) and quinuclidine (2.22 g, 20.0 mmol) in DME (10 mL) was stirred for 5 h at 23° C. After completion, the reaction mixture was diluted with ethyl acetate (50 mL) washed with 2N HCl, followed by water and dried over Na2SO4. The solvent was removed in vacuo to give the crude adduct (8.03 g, 94.5%, 3:1 ratio of 9 to 10 dr) as a viscous oil. The diastereomeric mixture was separated at the next step, although small amounts of 9 and 10 were purified by column chromatography (silica gel, ethyl acetate/hexanes, 1:10 to 1:2) for analytical purposes. [α]23 D−37.8 (c 0.51, CHCl3); FTIR (film) vmax: 3450, 3055, 2990, 1733, 1683, 1507, 1107, 1028, 808,734 cm−1; 1H NMR (CDCl3, 500 MHz): δ 7.29 (5H, m), 7.15 (2H, d, J=7.5 Hz), 6.74 (2H, d, J=8.5 Hz), 6.13 (1H, s), 5.57 (1H, s), 4.81 (1H, d, J=14.5 Hz), 4.45(1H, d, J=15.0 Hz), 4.20 (1H, d, J=12.0 Hz), 4.10 (1H, d, J=12.0 Hz) 3.75 (3H, s), 3.70 (1H, d, J=10.5 Hz), 3.64 (3H, s), 3.54 (1H, d, J=10.5 Hz), 2.55 (1H, bs, OH), 1.50 (3H, s); 13C NMR (CDCl3, 125 MHz): δ 169.67, 168.42, 158.97, 145.96, 137.57, 130.19, 130.12, 128.53, 127.83, 127.44, 116.79, 113.71, 76.32, 76.00, 73.16, 68.29, 55.45, 52.63, 45.36, 22.64; HRMS (ESI) calcd. for C24H28NO6 (M+H)+ 426.1916, found 426.1915. [α]23 D−.50.1 (c 0.40, CHCl3); FTIR (film) νmax: 3450, 3055, 2990, 1733, 1683, 1507, 1107, 1028, 808, 734 cm−1; 1H NMR (CDCl3, 500 MHz): δ 7.29 (5H, m), 7.12 (2H, d, J=7.5 Hz), 6.73 (2H, d, J=8.5 Hz), 6.12 (1H, s), 5.57 (1H, s), 4.88 (1H, d, J=15.5 Hz), 4.31 (1H, d, J=15.0 Hz), 4.08 (3H, m), 3.99 (1H, d, J=12.0 Hz) 3.73 (3H, s), 3.62 (3H, s), 3.47 (1H, bs, OH), 3.43 (1H, d, J=10.0 Hz), 1.31 (3H, s); 13C NMR (CDCl3, 125 MHz): δ 169.65, 167.89, 159.13, 147.19, 136.95, 130.29, 129.76, 128.74, 128.19, 127.55, 116.80, 113.82, 76.21, 75.66, 73.27, 68.02, 55.45, 52.52, 45.24, 25.25; HRMS (ESI) calcd. for (M+H)+ C24H28NO6 426.1916, found 426.1915. Silylation of 9 and 10 and Purification of 11. To a solution of lactams 9 and 10 (7.67 g, 18 mmol) in CH2Cl2 (25 ml) was added Et3N (7.54 ml, 54 mmol), and DMAP (2.2 g, 18 mmol) at 0° C., and then bromomethyl-dimethylchlorosilane (5.05 g, 27 mmol) (added dropwise). After stirring the mixture for 30 min at 0° C., it was quenched with aq NaHCO3 and the resulting mixture was extracted with ethyl acetate (3×50 mL). The combined organic layers were washed with water, brine and dried over Na2SO4. The solvent was removed in vacuo to give a mixture of the silated derivatives of 9 and 10 (9.83 g, 95%). The diastereomers were purified by column chromatography (silica gel, ethyl acetate/hexanes, 1:5 to 1:4) to give pure diastereomer 11 (7.4 g, 72%) and its diastereomer (2.4 g, 22%). Rf=0.80 (30% ethyl acetate in hexanes). [α]23 D−58.9 (c 0.55, CHCl3); FTIR (film) νmax; 3050, 2995, 1738, 1697, 1512, 1405, 1243, 1108, 1003, 809, 732 cm−1; 1H NMR (CDCl3, 500 MHz): δ 7.27 (5H, m), 7.05 (2H, d, J=7.0 Hz), 6.71 (2H, d, J=8.5 Hz), 6.18 (1H, s), 5.53 (1H, s), 4.95 (1H, d, J=15.5 Hz), 4.45 (1H, d, J=15.0 Hz), 4.02 (1H, J=12.0 Hz), 3.86 (1H, d, J=11.5 Hz) 3.72 (3H, s), 3.68 (3H, s), 3.65 (1H, d, J=10.5 Hz), 3.30 (1H, d, J=10.0 Hz), 2.34 (2H, d, J=2.0 Hz), 1.58 (3H, s), 0.19 (3H, s), 0.18 (3H, s); 13C NMR (CDCl3, 125 MHz): δ 168.62, 168.12, 158.93, 145.24, 137.53, 130.32, 130.30, 128.49, 127.76,127.22, 117.26, 113.60, 78.55, 78.03, 72.89, 68.45, 55.43, 52.37, 45.74, 21.87, 17.32, −0.72, −0.80; HRMS (ESI) Calcd. for C27H35BrNO6Si (M+H)+ 576.1417, found 576.1407. Conversion of (11) to (12). To a solution of compound 11 (5.67 g 10 mmol) in benzene (250 mL) at 80° C. under nitrogen was added a mixture of tributyltin hydride (4.03 ml, 15 mmol) and AIBN (164 mg, 1 mmol) in 50 ml benzene by syringe pump over 4 h. After the addition was complete, the reaction mixture was stirred for an additional 4 h at 80° C. and the solvent was removed in vacuo. The residue was dissolved in hexanes (20 mL) and washed with saturated NaHCO3 (3×25 mL), water and dried over Na2SO4. The solvent was removed in vacuo to give crude product. The crude product was purified by column chromatography (silica gel, ethyl acetate/hexanes, 1:5) to afford the pure 12 (4.42 g, 89%). Rf=0.80 (30% ethyl acetate in hexanes). [α]23 D−38.8 (c 0.25, CHCl3); FTIR (film) νmax; 3025, 2985, 1756, 1692, 1513, 1247, 1177, 1059, 667 cm−1; 1H NMR (CDCl3, 500 MHz): δ 7.28 (5H, m), 7.09 (2H, d, J=7.0 Hz), 6.73 (2H, d, J=9.0 Hz), 4.96(1H, d, J=15.0 Hz), 4.35 (1H, d, J=15.5 Hz), 3.97 (1H, d, J=12.5 Hz), 3.86 (1H, d, J=12.0 Hz), 3.80 (1H, d, J=10.0 Hz), 3.72 (3H, s), 3.65 (3H, s), 3.27 (1H, d, J=10.5 Hz), 2.67 (1H, t, J=4.0 Hz), 2.41 (1H, m), 1.79 (1H, m), 1.46 (3H, s), 0.77 (1H, m), 0.46 (1H, m), 0.10 (3H, s), 0.19 (3H, s); 13C NMR (CDCl3, 125 MHz): δ 175.48, 169.46, 158.76, 137.59, 131.04, 129.90, 128.58, 127.88, 127.52, 113.59, 113.60, 81.05, 78.88, 73.12, 69.03, 55.45, 51.94, 48.81, 45.50, 22.79, 17.06, 7.76, 0.54; HRMS (ESI) calcd. for (M+H)+ C27H36NO6Si 498.2312, found 498.2309. A solution of 12 (3.98 g, 8 mmol) in EtOH (50 ml) at 23° C. was treated with 10% Pd—C (˜1 g) under an argon atmosphere. The reaction mixture was evacuated and flushed with H2 gas (four times) and then stirred vigorously under an atmosphere of H2 (1 atm, H2 balloon) at 23° C. After 12 h, the reaction mixture was filtered through Celite and concentrated in vacuo to give the crude debenzylation product (3.08 g, 95%) which was used for the next step. A small amount crude product was purified by column chromatography (silica gel, ethyl acetate/hexanes, 1:3) for analytical purposes. Rf=0.41 (50% ethyl acetate in hexanes). mp, 45–47° C.; [α]23 D−30.9 (c 0.55, CHCl3); FTIR (film) νmax: 3432, 3020, 2926, 1735, 1692, 1512, 1244, 1174, 1094, 1024, 870, 795 cm−1; 1H NMR (CDCl3, 400 MHz): δ 7.36 (2H, d, J=8.5 Hz), 6.83 (2H, d, J=8.5 Hz), 5.16 (1H, d, J=15.0 Hz), 4.29 (1H, d, J=15.0 Hz), 3.92 (1H, m), 3.78 (3H, s), 3.68 (3H, s), 3.45 (1H, m), 2.53 (1H, t, J=4.0 Hz), 2.42 (1H, m), 1.82 (1H, m), 1.50 (3H, s), 1.28 (1H, m), 0.75 (1H, m), 0.47 (1H, m), 0.11 (3H, s), 0.02 (3H, s); 13C NMR (CDCl3, 125 MHz): δ 175.82, 169.51, 159.32, 131.00, 129.72, 114.52, 80.79, 80.13, 61.85, 55.48, 51.99, 49.29, 45.06, 23.11, 17.03, 7.44, 0.54; HRMS (ESI) calcd. for C20H30NO6Si (M+H)+ 408.1842, found 408.1846. Oxidation to Form Aldehyde (13). 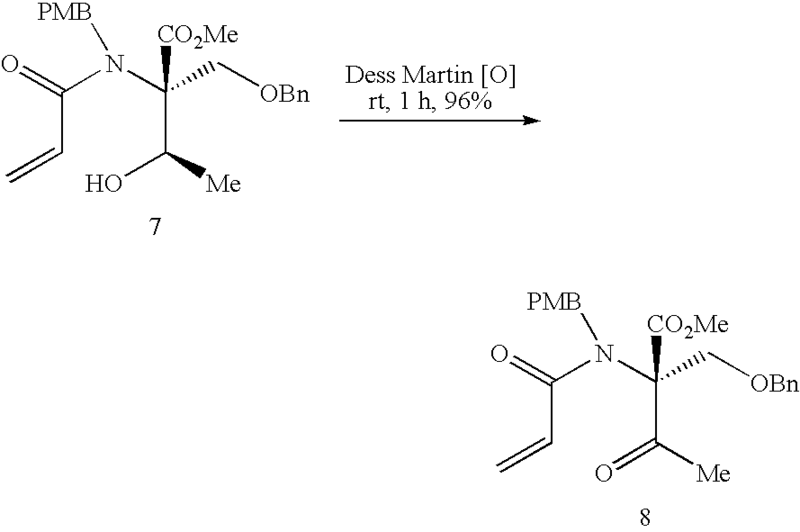 To a solution of the above alcohol from debenzylation of 12 (2.84 g, 7 mmol) in CH2Cl2 (30 mL) was added Dess-Martin reagent (3.57 g, 8.4 mmol) at 23° C. After stirring for 1 h at 23° C., the reaction mixture was quenched with aq NaHCO3—Na2S2O3 (1:1, 50 mL) and extracted with ethyl acetate (3×50 mL). The organic phase was dried and concentrated in vacuo to afford the crude aldehyde. The crude product was purified by column chromatography (silica gel, ethyl acetate/hexanes, 1:5) to give pure aldehyde 13 (2.68 g, 95%). Rf=0.56 (50% ethyl acetate in hexanes). mp, 54–56° C.; [α]23 D−16.5 (c 0.60, CHCl3); FTIR (film) νmax: 3015, 2925, 1702 1297, 1247, 1170, 1096, 987, 794 cm−1; 1H NMR (CDCl3, 500 MHz): δ 9.62 (1H, s), 7.07 (2H, d, J=8.0 Hz), 6.73 (2H, d, J=8.5 Hz), 4.49 (1H, quart, J=8.5 Hz), 3.70 (3H, s), 3.67 (3H, s), 2.36 (2H, m), 1.75 (1H, m), 1.37 (3H, s), 0.73 (1H, m), 0.48 (1H, m), 0.07 (3H, s), 0.004 (3H, s); 13C NMR (CDCl3, 125 MHz): δ 197.26, 174.70, 167.36, 158.07, 130.49, 128.96, 113.81, 83.97, 82.36, 55.34, 52.43, 47.74, 46.32, 23.83, 16.90, 7.52, 0.56, 0.45; HRMS (ESD calcd. for C20H28NO6Si (M+H)+ 406.1686, found 406.1692. Conversion of (13) to (14). To a solution of freshly prepared cyclohexenyl zinc chloride (10 mL, 0.5 M solution in THF, 5 mmol) (see Example 15 below) at −78° C. under nitrogen was added a −78° C. solution of aldehyde 13 (1.01 g, in 3 ml of THF, 2.5 mmol). After stirring for 5 h at −78° C. reaction mixture was quenched with water (10 mL) then extracted with ethyl acetate (3×10 mL). The combined organic layers were dried over Na2SO4 and solvent was removed in vacuo to give crude product (20:1 dr). The diastereomers were purified by column chromatography (silica gel, ethyl acetate/hexanes, 1:10 to 1:2 affords the pure major diastereomer 14 (1.0 g, 83%) and a minor diastereomer (50 mg 5%). For 14: Rf=0.56 (50% ethyl acetate in hexanes). mp, 79–81° C.; [a]23 D−28.5 (c 1.45, CHCl3); FTIR (film) νmax: 3267, 2927, 2894, 2829, 1742, 1667, 1509, 1248, 1164, 1024, 795 cm−1; 1H NMR (CDCl3, 500 MHz): δ 7.34 (2H, d, J=8.5 Hz), 6.81 (2H, d, J=9.0 Hz), 5.84 (1H, m), 5.73 (1H, m), 4.88 (1H, d, J=15.5 Hz), 4.39 (1H, d, J=14.5 Hz), 4.11 (1H, t, J=6.5 Hz), 3.77 (3H, s), 3.58 (3H, s), 3.00 (1H, m), 2.95 (1H, d, J=9.0 Hz), 2.83 (1H, t, J=3.5 Hz), 3.36 (1H, m), 2.27 (1H, m), 1.98 (2H, m), 1.74 (3H, m), 1.62 (3H, s), 1.14 (2H, m), 0.59 (1H, m), 0.39 (11H, m), 0.13 (3H, s), 0.03 (3H, s); 13C NMR (CDCl3, 125 MHz): δ 176.80, 170.03, 158.27, 131.86, 131.34, 128.50, 126.15, 113.40, 83.96, 82.45, 77.17, 55.45, 51.46, 48.34, 48.29, 39.08, 28.34, 25.29, 22.45, 21.09, 17.30, 7.75, 0.39, 0.28; HRMS (ESI) calcd. for C26H38NO6Si (M+H)+ 488.2468, found 488.2477. Tamao-Fleming Oxidation of (14) to (15). To a solution of 14 (0.974 g, 2 mmol) in THF (5 mL) and MeOH (5 mL) at 23° C. was added KHCO3 (0.8 g, 8 mmol) and KF (0.348 g, 6 mmol). Hydrogen peroxide (30% in water, 5 mL) was then introduced to this mixture. The reaction mixture was vigorously stirred at 23° C. and additional hydrogen peroxide (2 ml) was added after 12 h. After 18 h, the reaction mixture was quenched carefully with NaHSO3 solution (15 mL). The mixture was extracted with ethyl acetate (3×25 mL) and the combined organic layers were washed with water and dried over Na2SO4. The solvent was removed in vacuo to give the crude product. The crude product was purified by column chromatography (silica gel, ethyl acetate) to give the pure triol 15 (0.82 g, 92%). Rf=0.15 (in ethyl acetate). mp, 83–84° C.; [α]23 D: +5.2 (c 0.60, CHCl3); FTIR (film) νmax; 3317, 2920, 2827, 1741, 1654, 1502, 1246, 1170, 1018, 802 cm−1; 1HNMR(CDCl3, 500 MHz): δ 7.77 (2H, d, J=8.0 Hz), 6.28 (2H, d, J=8.0 Hz), 5. 76 (1H, m), 5.63 (1H, d, J=10.0 Hz), 4.74 (1H, d, J=15.5 Hz), 4.54 (1H, d, J=15.0 Hz), 4.12 (1H, d, J=2.5 Hz), 3.80 (1H, m), 3.76 (3H, s), 3.72 (1H, m), 3.68 (3H, s), 3.00 (1H, m), 2.60 (1H, br), 2.20 (1H, m), 1.98 (2H, s), 1.87 (1H, m), 1.80 (1H, m), 1.71 (2H, m), 1.61 (3H, s), 1.14 (2H, m); 13C NMR (CDCl3, 125 MHz): δ 178.99, 170.12, 158.27, 131.30, 130.55, 128.13, 126.39, 113.74, 81.93, 80.75, 76.87, 61.61, 55.45, 51.97, 51.32, 48.07, 39.17, 27.71, 27.13, 25.22, 21.35, 21.22; HRMS (ESI) calcd. for C24H34NO7 (M+H)+ 448.2335, found 448.2334. Deprotection of (15) to (16). To a solution of 15 (0.670 g, 1.5 mmol) in acetonitrile (8 mL) at 0° C. was added a pre-cooled solution of ceric ammonium nitrate (CAN) (2.46 g 4.5 mmol in 2 mL H2O). After stirring for 1 h at 0° C. the reaction mixture was diluted with ethyl acetate (50 mL), washed with saturated NaCl solution (5 mL) and organic layers was dried over Na2SO4. The solvent was removed in vacuo to give the crude product which was purified by column chromatography (silica gel, ethyl acetate) to give the pure 16 (0.4 g, 83%). Rf=0.10 (5% MeOH in ethyl acetate). mp, 138 to 140° C.; [α]23 D+14.5 (c 1.05, CHCl3); FTIR (film) νmax 3301, 2949, 2911, 2850, 1723, 1673, 1437, 1371, 1239, 1156, 1008, 689 cm−1; 1H NMR (CDCl3, 600 MHz): δ 8.48 (1H, br), 6.08 (1H, m), 5. 75 (1H, d, J=9.6 Hz), 5.29 (1H, br), 4.13 (1H, d, J=6.6 Hz), 3.83 (3H, m), 3.79 (1H, m), 3.72 (1H, m), 2.84 (1H, d, J=10.2 Hz), 2.20 (1H, m), 2.16 (1H, br), 1.98 (3H, m), 1.77 (3H, m), 1.59 (1H, m), 1.54 (3H, s), 1.25 (1H, m). 13C NMR (CDCl3, 125 MHz): δ 180.84, 172.95, 135.27, 123.75, 82.00, 80.11, 75.56, 62.39, 53.14, 51.78, 38.95, 28.79, 26.48, 25.04, 20.66, 19.99; HRMS (ESI) calcd. 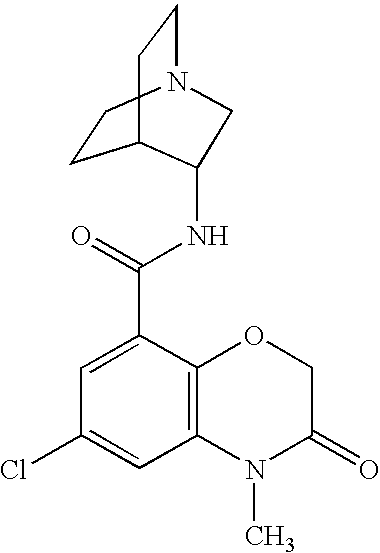 (M+H)+ for C16H26NO6 328.1760, found 328.1752. 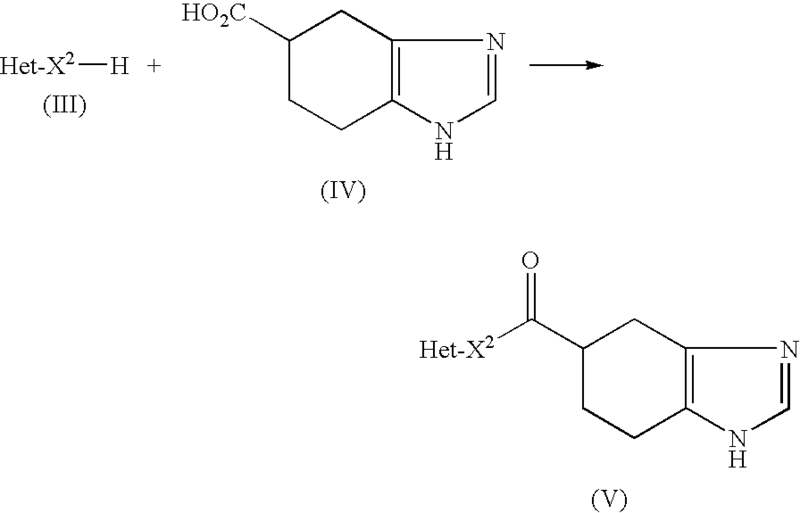 Conversion of (16) to Salinosporamide A(1). A solution of triol ester 16 (0.164 g, 0.5 mmol) in 3 N aq LiOH (3 mL) and THF (1 mL) was stirred at 5° C. for 4 days until hydrolysis was complete. The acid reaction mixture was acidified with phosphoric acid (to pH 3.5). The solvent was removed in vacuo and the residue was extracted with EtOAc, separated, and concentrated in vacuo to give the crude trihydroxy carboxylic acid 16a (not shown). The crude acid was suspended in dry CH2Cl2 (2 mL), treated with pyridine (0.5 mL) and stirred vigorously at 23° C. for 5 min. To this solution was added BOPCl (152 mg, 0.6 mmol) at 23° C. under argon, and stirring was continued for 1 h. The solvent was removed under high vacuum and the residue was suspended in dry CH3CN (1 mL) and treated with pyridine (1 mL). To this solution was added PPh3Cl2 (333 mg, 1.0 mmol) at 23° C. under argon with stirring. After 1 h the solvent was removed in vacuo. The crude product was purified by column chromatography (silica gel, ethyl acetate-CH2Cl2, 1:5) to give the pure β-lactone 1 (100 mg, 64%) as a colorless solid. Rf=0.55 (50% ethyl acetate in hexane). mp, 168–170° C. (authentic sample: 168–170° C., 169–171° C. in Angew. Chem. Int. Ed., 2003, 42, 355–357); mixture mp, 168–170C. [α]23 D −73.2 (c 0.49, MeOH), −72.9 (c 0.55, MeOH, in Angew. Chem. Int. Ed., 2003, 42, 355–357); FTIR (film) νmax: 3406, 2955, 2920, 2844, 1823, 1701, 1257, 1076, 1012, 785, 691 cm−1; 1H NMR (CDCl3, 500 MHz): δ 10.62 (1H, br), 6.42 (1H, d, J=10.5 Hz), 5.88 (1H, m), 4.25 (1H, d, J=9.0 Hz), 4.14 (1H, m), 4.01 (1H, m), 3.17 (1H, t, J=7.0 Hz), 2.85 (1H, m), 2.48 (1H, m), 2.32 (2H, m), 2.07 (3H, s), 1.91 (2H, m), 1.66 (2H, m), 1.38 (1H, m);13C NMR (CDCl3, 125 MHz): δ 176.92, 169.43, 129.08, 128.69, 86.32, 80.35, 70.98, 46.18, 43.28, 39.31, 29.01, 26.47, 25.35, 21.73, 20.00; HRMS (ESI) calcd. for (M−H)− C15H19ClNO4 312.1003, found 312.1003. Ramosetron (INN) is a serotonin 5-HT3 receptor antagonist for the treatment of nausea and vomiting. Ramosetron is also indicated for a treatment of “diarrhea-predominant irritable bowel syndrome in males”. In India it is marketed under the brand name of“IBset”. Fujii Y, Saitoh Y, Tanaka H, Toyooka H (February 2000). “Ramosetron for preventing postoperative nausea and vomiting in women undergoing gynecological surgery”.Anesth. Analg. 90 (2): 472–5. doi:10.1097/00000539-200002000-00043.PMID 10648342. Summary in Japanese. Retrieved on September 4, 2012. Abridged prescribing information – Nasea (MIMS Philippines). Retrieved on June 13, 2008. 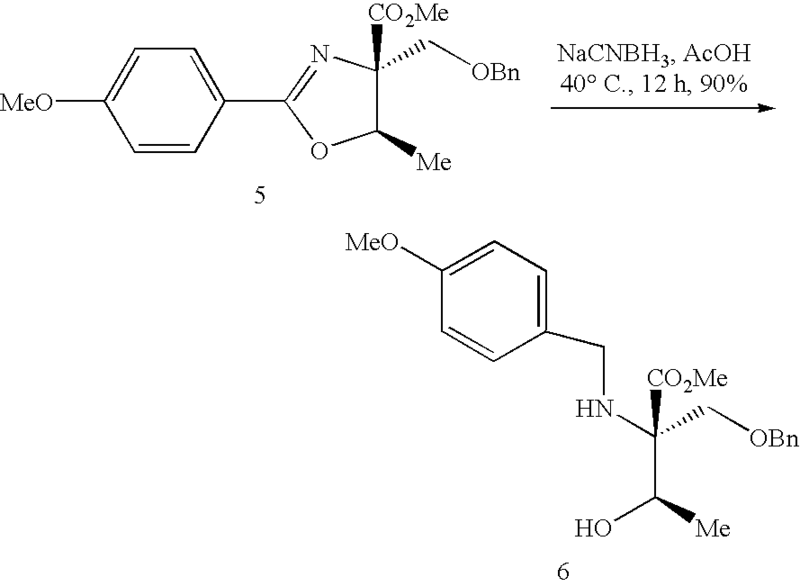 The chemical name of ramosetron is (−)-(R)-5-[(1-methyl-1H-indol-3-yl)carbonyl]-4,5,6,7-tetrahydro-1H-benzimidazole, and it has the structure represented by the formula (II). 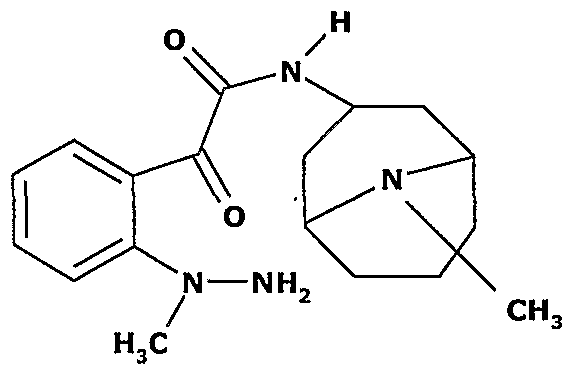 It is known that ramosetron or a salt thereof has a potent 5-HT3 receptor antagonism (Patent Reference 1, Non-patent references 1 and 2), and it is on the market as a preventive or therapeutic agent for digestive symptoms (nausea, emesis) caused by administration of an anti-malignant tumor agent (cisplatin or the like). In addition, a possibility has been reported that ramosetron or a salt thereof may be useful as an agent for treating diarrheal-type irritable bowel syndrome or an agent for improving diarrheal symptoms of irritable bowel syndrome (Patent Reference 1), and its clinical trials are now in progress as an agent for treating diarrheal-type irritable bowel syndrome or an agent for improving diarrheal symptoms of irritable bowel syndrome. As a process for producing ramosetron or a salt thereof, the following production methods are known. 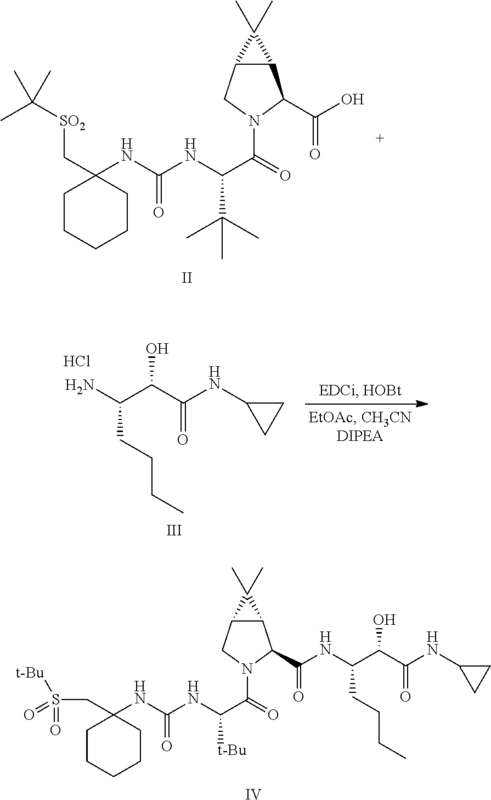 Patent Reference 1 describes a production method shown by the following Production method A, namely a method for producing a tetrahydrobenzimidazole derivative (V) by allowing a heterocyclic compound (III) to react with a carboxylic acid represented by a formula (IV) or its reactive derivative. 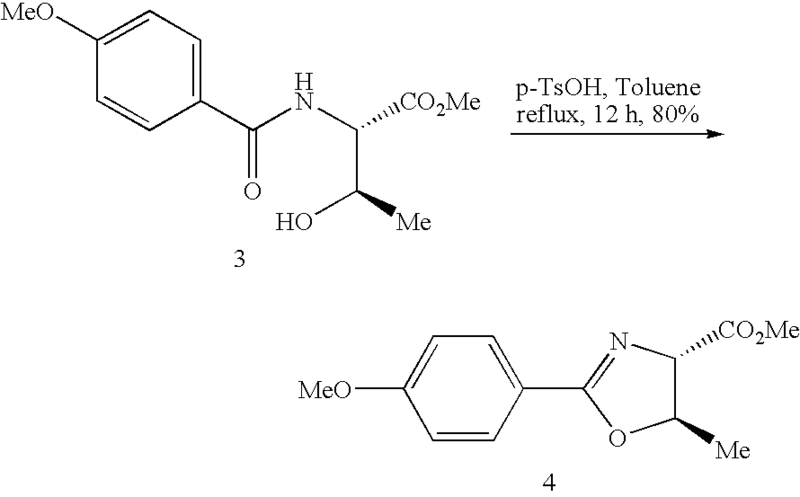 As an illustrative production method of ramosetron, Patent Reference 1 describes a production method (Production method A-1) in which racemic ramosetron are obtained by using 1-methyl-1H-indole as the compound (III), and N,N-diethyl-4,5,6,7-tetrahydrobenzimidazole-5-carboxamide or N-[(4,5,6,7-tetrahydrobenzimidazol-5-yl)carbonyl]pyrrolidine, which are acid amides, as the reactive derivative of compound (IV), and allowing them to undergo treatment with phosphorus oxychloride (Vilsmeyer reaction), and then their optical resolution is carried out by fractional crystallization using (+)-dibenzoyltartaric acid. In addition, the Patent Reference 1 exemplifies an acid halide as one of the reactive derivatives of the compound (IV), and also describes another production method of the compound (V) (Production method A-2) in which the heterocyclic compound (III) is condensed with an acid halide of the compound (IV) by the Friedel-Crafts acylation reaction using a Lewis acid as the catalyst. However, illustrative production example of ramosetron by the Friedel-Crafts acylation reaction is not described therein. Also, a method similar to the Production example A-1 is described in Non-patent References 1 and 2 as a production method of ramosetron. In addition, Non-patent Reference 3 describes a method for producing ramosetron labeled with 11C, represented by a Production method B. However, it discloses only the methylation step, and does not disclose a production method of nor-YM060 as the starting material. The Vilsmeier-type reaction of 1-methylindole (I) with 5 – (1-pyrrolidinocarbonyl) -4,5,6,7-1 H-tetrahydrobenzimidazole hydrochloride (II) and phosphorous oxychloride in 1,2-dichloroethane gives (-5? -. 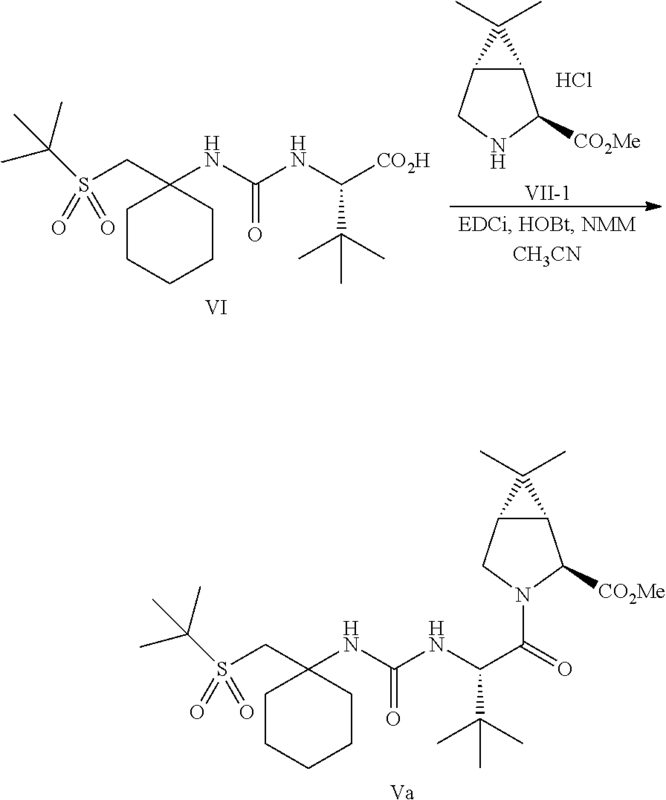 [(1-methyl-3-indolyl) carbonyl] -4,5,6,7-tetrahydro-1H-benzimidazol e (III) Optical resolution of (III) with (+)-dibenzoyltartaric acid (DIBTA) in DMF -H2O, followed by exchange of the salt affords YM060. PF-868554 is an anti-hepatitis C drug candidate which had been in phase II clinical trials at Pfizer; however this research has been discontinued. Johnson, S.; Drowns, M.; Tatlock, J.; et al. Glycolic acid (1 L, 70% in water, 11.51 mol) was added to a 5 L flask. To the solution was slowly added aminoguanidine bicarbonate (783.33 g, 5.755 mol) in portions to control significant bubbling. As solids are added, the solution cools due to endothermic dissolution. The solution was gently heated to maintain an internal temp of 25 °C during addition. Ten minutes after complete addition of aminoguanidine bicarbonate, cone. Nitric acid (6.8 ml_) was carefully added. The solution was heated to an internal temperature of 104-108 0C (mild reflux) for 22 h. The heating was discontinued and the solution allowed to cool, with stirring. At an internal temp of aboutδi °C, solids began to crystallize. After the internal temperature was just below 80 0C, ethanol (absolute, 375 mL) was slowly added to the mixture. After the internal temp had cooled to aboutδδ 0C1the cooling was sped up by the use of an ice/water bath. After cooling below rt, the solution became very thick but remained stirrable at all times. The slurry was stirred for 2h at T<10 0C, then filtered and the solids rinsed with ethanol (900 mL cold, then 250 mL rt). The solids were dried overnight in a vacuum oven (about25 mmHg, 45-50 0C) to provide 815.80 g (75%) of (5-amino-1H-1 ,2,4-triazol-3-yl)methanol as the glycolate salt. 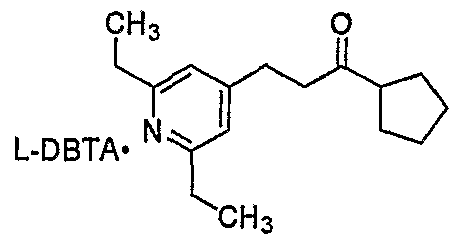 1H (300 MHz, de-DMSO): 3.90 (s, 2), 4.24 (s, 2). To a 2L, 3-neck flask was charged glycolate salt of (5-amino-1tf-1 ,2,4-triazol-3-yl)methanol (99.93 g, 0.526 mol), 2,4 pentanedione (0.578 mols, 60 mL), acetic acid (6.70 mL), and EtOH (550 mL). The mixture was heated to a slight reflux. One hour after adding the reagents, the resulting solution was cooled to ambient temperature, and CH2CI2 (500 mL) and Celite (25.03 g) were added. After stirring for 1 h, the mixture was filtered through a 4″ Buchner funnel packed with celite (20 g) and rinsed with EtOH (100 mL). The solution was distilled to 5 vols then cooled to 0 °C for 1-2 hours. The slurry was filtered and the cake was rinsed with cold EtOH (2×100 mL). The solids were dried to provide 76.67 g (81.7%) of the title compound. (t, 1 , J=6.2), 7.13 (d, 1 , J=0.8). A nitrogen-purged, 5-L, 3-neck flask containing 4-bromo-2,6-diethylpyridine (250.0 g, 0.6472 mol) was sequentially charged with LiBr (112.42 g, 1.2944 mol), 1-cyclopentyl-prop-2- en-1-ol ( 89.84 g, 0.7119 mol), DMAc (625 mL), and H2O (55.0 mL). The mixture was cooled to 5-10 0C and was then purged (subsurface) with N2 for 30 minutes. The flask was charged with Et3N (198.5 mL, 1.4242 mol) and Pd(OaC)2 (3.63 g, 0.0162 mol), followed by a careful purge of the headspace. The reaction was heated until the internal temperature reached 95 0C. After stirring at 95 °C for three hours, an aliquot was removed and analyzed by HPLC, showing >99% conversion to 1-cyclopentyl-3-(2,6-diethylpyridin-4-yl)propan-1-one. The reaction was then cooled to 30 0C over 20 min. The flask was charged with H2O (1500 mL), and MTBE (1500 mL). The solution was stirred well for 5 minutes before the mixture was allowed to settle and the aqueous layer was removed. To the organic layer was charged Celite (62.5Og), and Darco G-60 (6.25g). The slurry was stirred for 20 minutes at 20-25 0C. The slurry was then filtered using a Buchner funnel dressed with Celite. The filter cake was rinsed with MTBE (250 mL). The organic layer was extracted with 5% sodium bicarbonate solution (500 mL) and the phases separated. The organic layer was transferred to a 5 L, three-neck flask, and MTBE added to achieve a total reaction volume of 1750 mL. Additional MTBE (1500 mL) was added and atmospherically distilled until an internal volume of 1750 mL was reached. After cooling below 40 0C, a sample was removed for analysis of water content. After cooling to 20-25 0C, MTBE (250 mL) was added to bring the total volume to 2000 mL and the solution was seeded with crystals of the dibenzoyl-L-tartaric acid salt of 1-cyclopentyl-3-(2,6- diethylpyridin-4-yl)propan-1-one (130 mg), which were prepared according to this procedure. A solution of dibenzoyl-L-tartaric acid (231.89 g, 0.6472 mol) in THF (900 mL) was added over 25 minutes. The slurry was granulated for 1 hour, the mixture was filtered, and the cake rinsed with MTBE (450 mL). The solids were dried in a vacuum oven at 50 0C for 12 h to provide 366.70 g (92% yield) of the title compound. 1H NMR (300 MHz, d6-DMSO): 1.19 (t, 6, J=7.6), 1.47-1.81 (m, 8), 2.73 (q, 4, J=7.6), 2.73-2.98 (m, 5), 5.86 (s, 2), 7.00 (S1 2), 7.55-7.63 (m, 4), 7.68-7.75 (m, 2), 7.98-8.04 (m, 4). A 3-L, 3-neck flask was charged with the dibenzoyl-L-tartaric acid salt of 1- cyclopentyl-3-(2,6-diethylpyridin-4-yl)propan-1-one (174.95 g, 0.2832 mol), MTBE (875 mL), water (875 mL), and triethanolamine (113.0 mL, 0.8513 mol). After stirring for 2 h at rt, an aliquot of the aqueous phase was removed and analyzed by HPLC, showing no detectable starting material. The solution was transferred to a separatory funnel and the layers separated. The lower aqueous phase was discarded and the upper org. phase was washed with water (150 mL). The organic layer was added to a flask set up for distillation. The solution was distilled down to approx. 183 mL and an aliquot was removed and analyzed for water content. 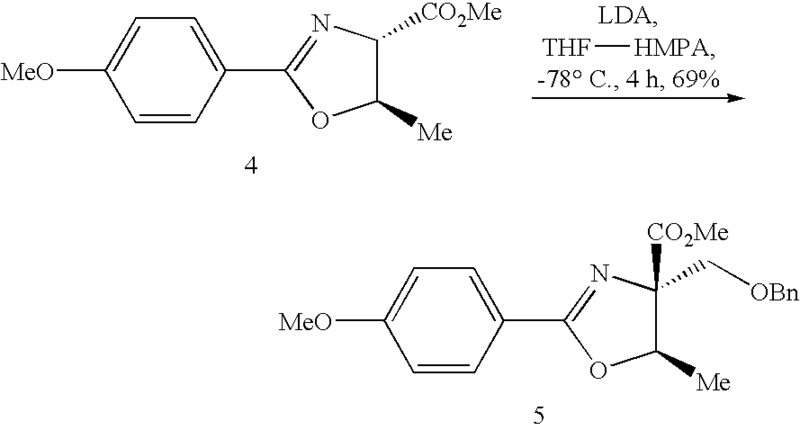 The dry solution of 1-cyclopentyl-3-(2,6-diethylpyridin-4-yl)propan-1-one (th. Wt = 73.47 g) in MTBE was used directly in the next step. A clean 2-L, 3-neck flask was charged with LiHMDS (1.0 M in THF, 355 mL, 0.355 mol) and purged with nitrogen. The flask was cooled to -34 0C. An addition funnel was then charged with EtOAc (35 mL, 0.3583 mol) and this reagent was slowly added to the reaction vessel at such a rate that the low temperature of the vessel could be maintained. 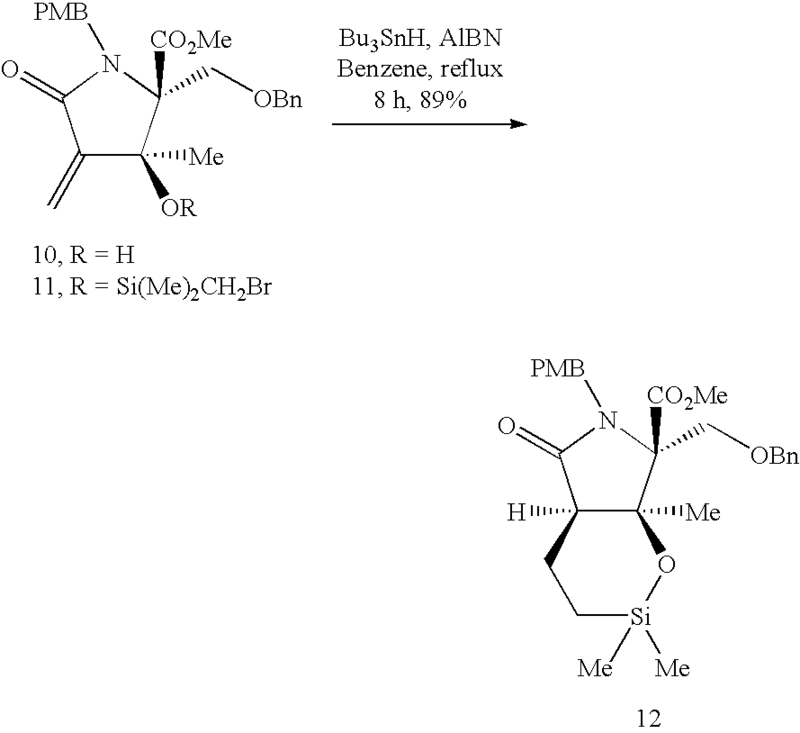 After complete EtOAc addition another addition funnel was charged with the 1-cyclopentyl-3-(2,6- diethylpyridin-4-yl)propan-1-one solution (crude MTBE soln from prior reaction, theor. 73.47 g, 0.2832 mol) and rinsed over with THF (anhydrous, 5 ml_). The 1-cyclopentyl-3-(2,6- diethylpyridin-4-yl)propan-1-one solution was slowly added to the reaction flask at such a rate that the low internal temperature could be maintained. 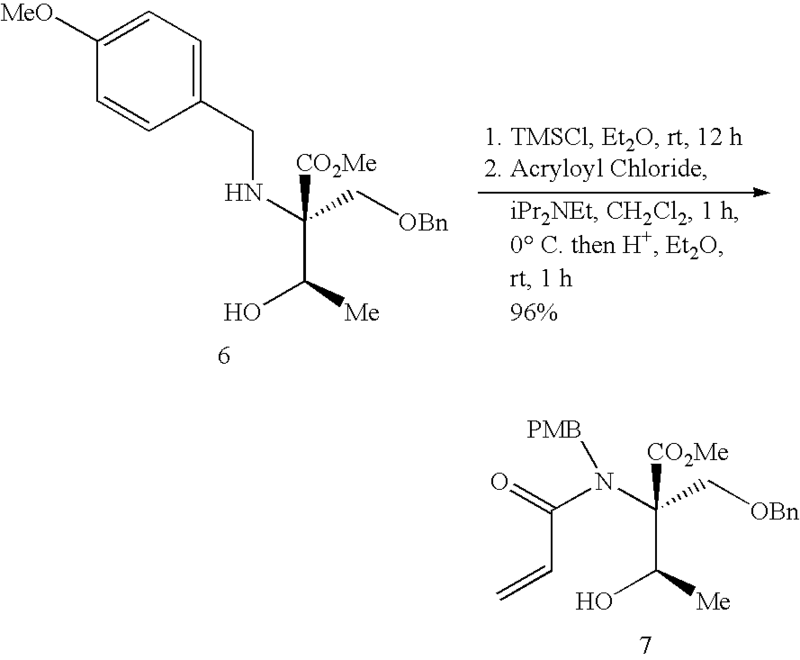 Five minutes after complete addition, a reaction aliquot was removed and analyzed by HPLC, showing less than 1% 1-cyclopentyl-3- (2,6-diethylpyridin-4-yl)propan-1-one. Ten minutes after complete ketone addition, the bath was switched to O 0C. Once the internal temperature had warmed to -10 0C, 1 M NaOH (510 mL) was added. After complete NaOH soln addition, the reaction was heated to 50 0C. After 21 hours the reaction solution was cooled below 30 0C and an aliquot of both layers was removed and analyzed for completion. The mixture was added to a separatory funnel with MTBE (350 mL) and the phases were mixed well and separated. An aliquot of the organic phase was analyzed by HPLC, verifying no significant product, and this layer was discarded. The aqueous phase was added to a flask with CH2CI2(350 mL). Concentrated aqueous HCI (about 100 mL) was slowly added to the aqueous phase until the pH = 5. The mixture was added back to a separatory funnel and mixed well. The phases were separated and the aqueous layer was extracted a second time with CH2CI2 (150 mL). The organic layers were combined and charged to a clean flask set up for distillation. The solution was distilled down to 370 mL then displaced with THF by addition of solvent portions followed by continued distillation down to 370 mL after each addition. When the distillation head temp, held steady at 65 °C for 30 min an aliquot was removed and analyzed by 1H NMR, showing a 12.5:1 ratio of THF:CH2CI2. The solution of 3-cyclopentyl-5-(2,6-diethylpyridin-4-yl)-3-hydroxypentanoic acid in THF was used directly in the next step. A 2-L, 3-neck flask was charged with the (1R,2R)-(-)-2-amino-1-(4-nitrophenyl)-1 ,3- propanediol salt of ®-3-cyclopentyl-5-(2,6-diethylpyridin-4-yl)-3-hydroxypentanoic acid (66.20 g, 0.1245 moles) and 2B EtOH (970 mL absolute EtOH + 5 mL toluene). The slurry was stirred and heated to reflux. After holding at reflux for 40 min, all the solids had dissolved and the solution was cooled to an internal temp of about 65 0C over 30 min, and the solution was then seeded with crystals of the title compound. The solution was allowed to cool to 50 0C and held for an additional 2h. The solution was then cooled slowly to room temperature over about 2 hours. The cooled solution was stirred at rt for an additional 10 h. The mixture was then filtered and the solids rinsed with 2B EtOH (75 mL). The solids were dried to provide 52.72 g (80%) of product as an off-white crystalline solid that was then dried under vacuum (30 mm Hg) with a nitrogen bleed at 50 0C for 12 h. Chiral HPLC analysis showed product with 96% ee. For determination of e.e., the solid was dissolved in MeOH. HPLC conditions: Chirobiotic TAG column, 4.6 x 250 mm, 40 0C column chamber, flow rate = 0.5 ml_/min, 100% MeOH (0.05% TEA, 0.05% HOAc). Gradient: Initial flow rate = 0.5 mL/min; 10 min flow rate = 0.5 mL/min; 10.10 min flow rate = 2.00 mL/min; 35 min flow rate = 2.00 mL/min; 36 min flow rate = 0.5 mL/min. Percentages reported are at 265 nm. Retention times: (1 R,2R)-(-)-2- amino-1-(4-nitrophenyl)-1 ,3-propanediol = >30 min, (S)-3-cyclopentyl-5-(2,6-diethylpyridin-4- yl)-3-hydroxypentanoic acid = 5.8 min, ®-3-cyclopentyl-5-(2,6-diethylpyridin-4-yl)-3- hydroxypentanoic acid = 7.2 min. A nitrogen-purged flask containing the (1R,2R)-(-)-2-amino-1-(4-nitrophenyl)-1 ,3- propanediol salt of ®-3-cyclopentyl-5-(2,6-diethylpyridin-4-yl)-3-hydroxypentanoic acid (20.00 g, 0.0376 mol) was charged with CH2CI2 (200 mL) and H2O (100 mL). The pH of the mixture was adjusted to pH 4.75 with 40% aqueous citric acid (10 mL) and was stirred for 60 minutes. The layers were allowed to settle for 30 minutes and separated. The upper (aqueous) layer was charged CH2CI2 (50 mL), stirred 15 minutes, and was then allowed to settle. The organic layer was combined with the first organic layer and dried with sodium sulfate. The dried organic was concentrated under reduced pressure. The ®-3-cyclopentyl-5-(2,6-diethylpyridin- 4-yl)-3-hydroxypentanoic acid residue was dissolved in THF (47 mL) and this solution added to a slurry of carbonyl diimidazole (9.00 g, 0.0555 mol) and 4-N,N-dimethylaminopyridine (DMAP, 0.45 g, 0.0037 mol) in THF (106 mL) over 5 minutes. Upon complete acyl-imidazole formation, the solution was added to a slurry of potassium ethyl malonate (12.57 g, 0.0738 mol) and magnesium chloride (7.38 g, 0.0775 mol) in 106 mL THF over 5 minutes. The slurry was allowed to stir at 20-25 0C for 30 hours. An aliquot was removed and analyzed by HPLC, showing 96% conversion to ©-ethyl 5-cyclopentyl-7-(2,6-diethylpyridin-4-yl)-5-hydroxy-3- oxoheptanoate. The flask was charged with H2O (64 mL), and MTBE (118 mL). The mixture was stirred well for 5 minutes before it was allowed to settle and the aqueous (lower) layer was removed. To the organic layer was charged brine (52 mL). The mixture was stirred well for 5 minutes before it was allowed to settle and the aqueous (lower) layer was removed. The organic layer was then displaced via atmospheric distillation with methanol (2 x 210 mL) until a total volume of 140 mL was achieved. MTBE (105 mL) was added followed by powdered potassium carbonate (7.65 g, 0.0554 mol), and the slurry heated to reflux for 12 hours. After cooling to 40 °C, MTBE (140 mL) and water (140 mL) were added. The mixture was stirred well for 5 minutes before it was allowed to settle and the aqueous (lower) layer was isolated. The organic layer was extracted with water (30 mL) and the aqueous layers were combined. CH2CI2 (140 mL) was added to the aqueous layer and the pH adjusted to 6.4 with 40% aqueous citric acid (29 mL). The aqueous layer was extracted a second time with CH2CI2 (25 mL). The combined organic layers were then displaced fully into MTBE (140 mL final volume) via atmospheric distillation, cooled, and added slowly to a solution of dibenzoyl-D-tartaric acid (9.92 g, 0.0277 mol) in MTBE (100 mL). The slurry was heated to reflux for 1 hour, then allowed to cool to 20-25 0C. The mixture was filtered, and the cake rinsed with MTBE (50 mL). The solids were dried in a vacuum oven at 50 0C for 12 h to provide 16.40 g (62%) of the title compound. 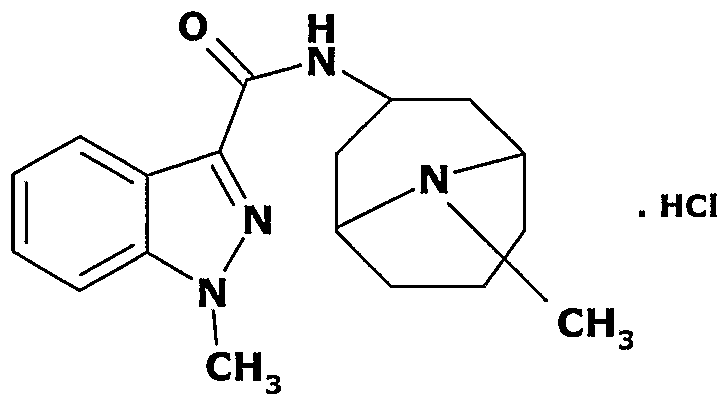 5,6-dihydropyran-2-one as an off-white solid. )vemight. The reaction was filtered and the cake was washed with isopropyl acetate (25 ml). 1-0:60). HPLC conditions: Kromasil C4 column, 5 μm, 4.6×150 mm, 40 0C column chamber, ow rate= 1.0 mL/min, 40% CH3CN/60% aqueous (1.0 mL 70% HcIO4 in 1L H2O) isocratic. ‘ercentages reported are at 254 nm. Retention times: ®-6-cyclopentyl-6-(2-(2,6- iethylpyridin-4-yl)ethyl)-4-hydroxy-5,6-dihydropyran-2-one = 3.85 min; ®-6-cyclopentyl-6-(2- (2,6-diethylpyridin-4-yl)ethyl)-3-((5,7-dimethyl-[1 ,2,4]triazolo[1 ,5-a]pyrimidin-2-yl)methyl)-4- hydroxy-5,6-dihydropyran-2-one = 3.56 min; DBTA= 5.14 min; BH3 «pyr=3.36 min. A 200 mL flask was charged with ®-6-cyclopentyl-6-(2-(2,6-diethylpyridin-4-yl)ethyl)-3- ((5,7-dimethyl-[1 ,2,4]triazolo[1 ,5-a]pyrimidin-2-yl)methyl)-4-hydroxy-5,6-dihydropyran-2-one (10.05 g, 0.01995 mol) and THF (70 mL). The mixture was stirred and heated to 30 to 35 0C to provide a homogeneous solution. The solution was filtered through a 0.45 μm Teflon filter, and rinsed with THF (10 mL). The filtrate was added to a flask set up for atmospheric distillation and isopropyl acetate (IPAC, 50 mL) was added. The solution was concentrated by distillation to an internal volume of 100 mL. Isopropyl acetate (50 mL) was added and distillation continued at atmospheric pressure until the internal volume reached 100 mL. 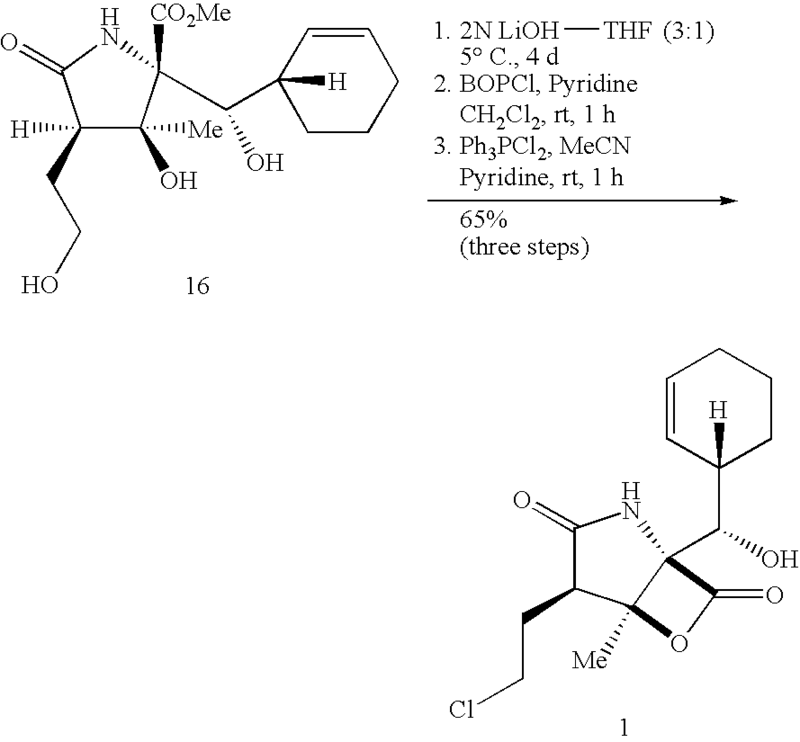 The solution was seeded with ®-6-cyclopentyl-6-(2-(2,6-diethylpyridin-4-yl)ethyl)-3-((5,7-dimethyl- [1 ,2,4]triazolo[1 ,5-a]pyrimidin-2-yl)methyl)-4-hydroxy-5,6-dihydropyran-2-one and additional IPAC (30 mL) was added. The solution was again distilled to an internal volume of 100 mL and was cooled over about 1 h to 50 0C. The solution was held at 50 0C for an additional 1.5 h, cooled over about 2 h to rt, and stirred overnight. The resulting slurry was filtered and rinsed with IPAC (30 mL). The resulting solids were dried to provide 9.41 g (94%) of the title compound as an off-white powder that was vacuum dried (~25 in Hg, 50 0C) for 12 h.
An antiviral agent that inhibits hepatitis C virus NS3 protease. SCH-900518 had been in phase II clinical trials by Merck & Co. for the treatment of genotype 1 chronic hepatitis C; however, no recent development has been reported for this indication. A potent oral inhibitor of HCV NS3 protease, SCH-900518 disrupts hepatitis C virus (HCV) polyprotein processing. When added to the current standard of care (SOC), peginterferon-alfa plus ribavirin, SCH-900518 is likely to increase the proportion of patients achieving undetectable HCV-RNA levels and sustained virologic response (SVR). 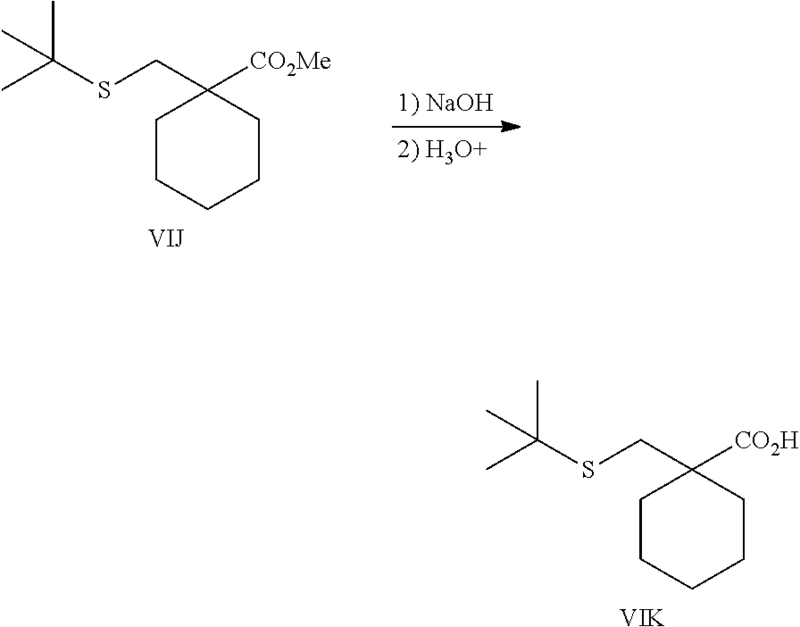 (1 R,5S)-N-[1 (S)-[2-(cyclopropylamino)-1 ,2-dioxoethyl]pentyl]-3-[2(S)- [[[[1-[[1.1-dimethylethyl)sulfonyl]methyl]cyclohexyl]amino]carbonyl]amino]-3,3- dimethyl-1-oxobutyl]-6,6-dimethyl-3-azabicyclo[3.1.0]hexane-2(S)-carboxamide. Identification of any publication in this section or any section of this application is not an admission that such publication is prior art to the present invention. Published U.S. Patent No.2007/0042968, published February 22, 2007 (the ‘968 publication), incorporated herein by reference. LDA was made by slowly charging n-butyl lithium (2.5 M, 159 kg) to diisopropyl amine (60 kg) dissolved in THF (252 kg), keeping the temperature at about −20° C., followed by agitation at this temperature for about 30 min. To this solution was charged cyclohexane carboxylic acid, methyl ester (70 kg), keeping the temperature below −10° C. The mixture was agitated at this temperature for about 2 h. To the resulting enolate was charged TMSCI (64.4 kg). The mixture was agitated at −10 to −20° C. for about 30 min, and then heated to about 25° C. and held at this temperature to allow for conversion to the silylenol ether Compound VIH. The reaction mixture was solvent exchanged to n-heptane under vacuum, keeping the temperature below 50° C., resulting in the precipitation of solids. The solids were filtered and washed with n-heptane, and the wash was combined with the n-heptane reaction mixture. The n-heptane mixture of Compound VIH was concentrated under vacuum and diluted with CH2Cl2. In a separate reactor was charged CH2Cl2 (461 kg) and anhydrous ZnBr2 (14.5 kg). The temperature of the zinc slurry was adjusted to about 20° C. To the zinc slurry was simultaneously charged the solution of Compound VIH and 2-chloromethylsulfanyl-2-methyl-propane (63.1 kg, ref: Bioorg. Med. Chem. Lett, 1996, 6, 2053-2058), keeping the temperature below 45° C. After complete addition, the mixture was agitated for about 1.5 h at 35 to 45° C., after which the reaction mixture was cooled to 10 to 15° C. A solution of dilute aqueous HCl was then charged, keeping the temperature between 0 and 15° C., followed by a separation of the aqueous and organic layers (desired compound in organic layer). The organic layer was washed with aqueous NaHCO3 and water. The organic layer was solvent exchanged to methanol by vacuum distillation, keeping the temperature below 35° C., and kept as a solution in methanol for further processing to Compound VIK. Active Yield of Compound VIJ=69.7 kg (molar yield=57.9%). To a fresh reactor was charged Compound VIJ (99.8 kg active in a methanol solution), water (270 kg), NaOH (70 kg), and methanol (603 kg). The mixture was heated to −70° C. and agitated at this temperature for about 16 h. Upon conversion to the sodium salt of Compound VIK, the reaction mixture was concentrated under vacuum, keeping the temperature below 55° C., and then cooled to about 25° C. Water and MTBE were then charged, agitiated, and the layers were separated (product in the aqueous layer). The product-containing aqueous layer was further washed with MTBE. CH2Cl2 was charged to the aqueous layer and the temperature was adjusted to ˜10° C. The resultant mixture was acidified to a pH of about 1.5 with HCl, agitated, settled, and separated (the compound was in the organic layer). The aqueous layer was extracted with CH2Cl2, and the combined organic layers were stored as a CH2Cl2 solution for further processing to Compound VID. Active yield of Compound VIK=92.7 kg (molar yield=98.5 kg). MS Calculated: 230.13; MS Found (ES−, M−H): 229.11. To a reactor was charged water (952 kg), Oxone® (92.7 kg), and Compound VIK (92.7 kg active as a solution in CH2Cl2). 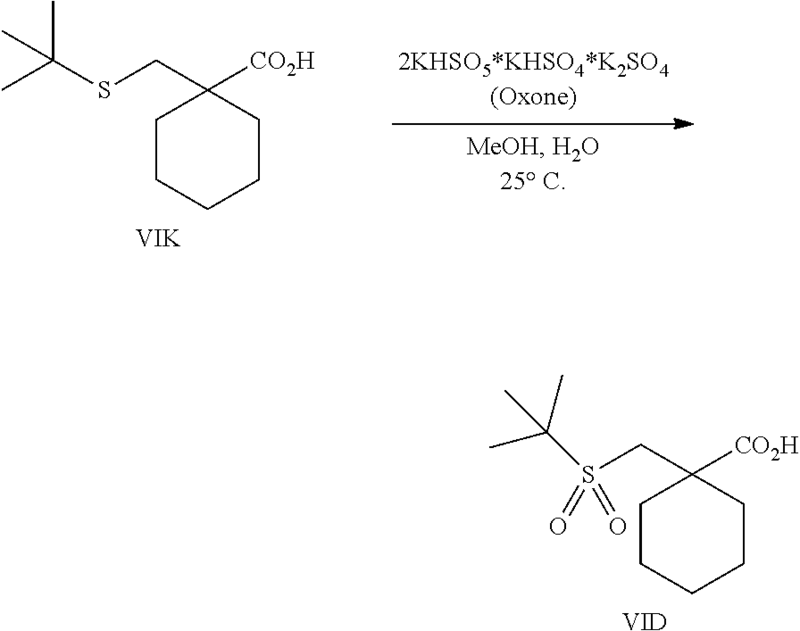 The reaction mixture was agitated for about 24 h at a temperature of about 15° C., during which time Compound VIK oxidized to sulfone Compound VID. The excess Oxone® was quenched with aqueous Na2S2O5, the reaction mixture was settled and the layers separated; the aqueous layer was back-extracted with CH2Cl2, and the combined product-containing organic layers were washed with water. To a reactor was charged Compound VID (68.4 kg), toluene (531 kg), and Et3N (31 kg). The reaction mixture was atmospherically refluxed under Dean-Stark conditions to remove water (target KF <0.05%). 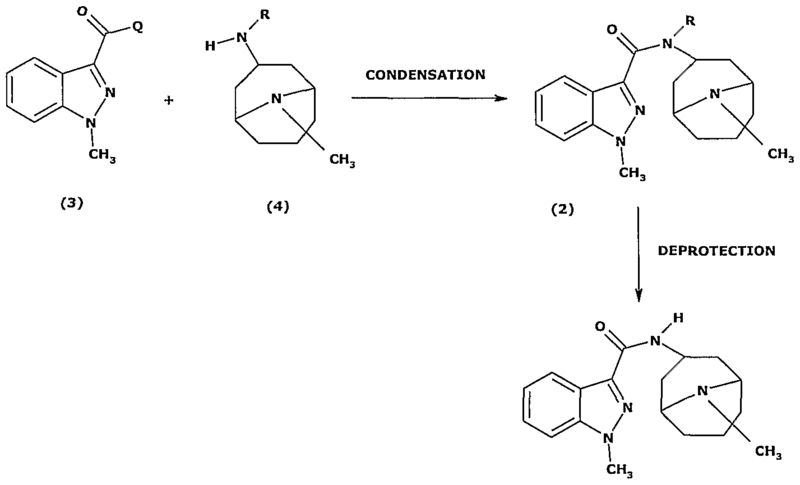 The reaction temperature was adjusted to 80° C., DPPA (73.4 kg) was charged over 7 h, and the mixture was agitated for an additional 2 h. After conversion to isocyanate Compound VIE via the azide, the reaction mixture was cooled to about 0 to 5° C. and quenched with aqueous NaHCO3. The resultant mixture was agitated, settled and the layers were separated. The aqueous layer was extracted with toluene, and the combined isocyante Compound VIE organic layers were washed with water. In a separate vessel was charged L-tert- Leucine (L-Tle, 30.8 kg), water (270 kg), and Et3N (60 kg). 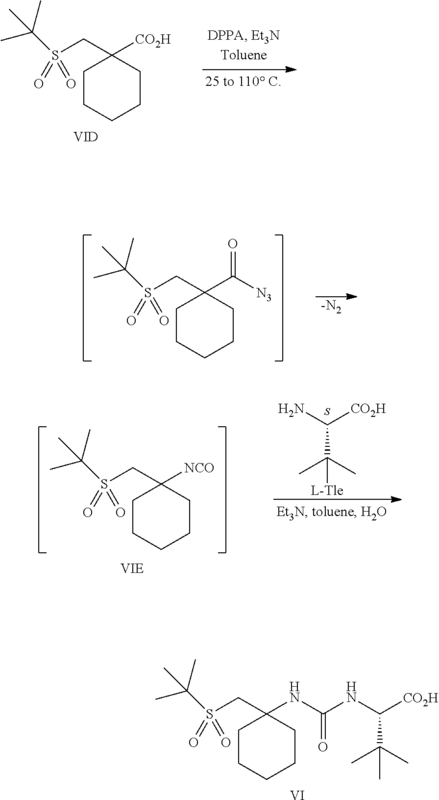 While keeping the temperature at about 5° C., the toluene solution of Compound VIE was transferred to the solution of L-Tle. The reaction mixture was stirred at 0 to 5° C. for about 5 h, at which time the mixture was heated to 15 to 20° C. and agitated at this temperature for 2 h to allow for conversion to urea Compound VI. The reaction was quenched by the addition of aqueous NaOH, keeping the temperature between 0 and 25° C. The reaction mixture was separated, and the organic layer was extracted with water. The combined Compound VI-containing aqueous layers were washed with toluene, and acidified to pH 2 by the addition of HCl, at which time the product precipitated from solution. The reaction mixture was filtered, washed with water and dried under vacuum at 65 to 70° C. to yield 79.7 kg crude Compound VI (molar yield 52.7%). MS Calculated: 390.54; MS Found (ES−, M−H): 389.20. Compound VI is further purified by slurrying in CH3CN at reflux (about 80° C.), followed by cooling to RT. Typical recovery is 94%, with an increase in purity from about 80% to 99%. The Compound Va wet cake was charged to a fresh vessel and was dissolved in ethyl acetate at 25 to 30° C. The solution was washed with an aqueous HCl solution, aqueous K2CO3 solution, and brine. The solution was then concentrated under vacuum, keeping the temperature between 35 to 50° C. Additional ethyl acetate was charged, and the solution was heated to 65 to 70° C. While keeping the temperature at 65 to 70° C., n-heptane was charged, followed by cooling the resultant solution to 0 to 5° C. Compound Va was filtered and washed with an ethyl acetate/n-heptane mix. The wet cake was dried under vacuum between 55 to 60° C. to yield 96.6 kg crystalline Compound Va (molar yield 79.2%). MS Calculated: 541.32; MS Found (ES+, M+H): 542.35. To a pressure vessel was charged Compound IIIB (9.1 kg), heptane (9 L), and H2SO4 (0.5 kg). The pressure vessel was sealed and isobutylene (13.7 kg) was charged, keeping the temperature between 19 to 25° C. The reaction mixture was agitated at this temperature for about 18 h. The pressure was released, and a solution of K2CO3 was charged to the reaction mixture, which was agitated and settled, and the bottom aqueous layer was then separated. 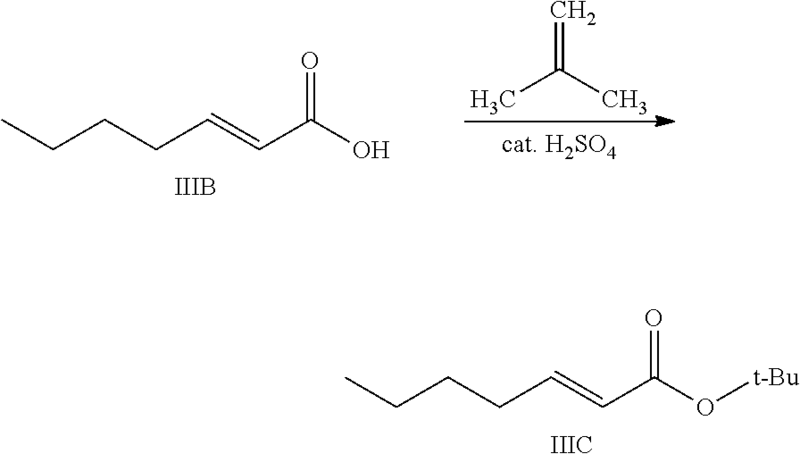 The resultant organic solution was washed with water and distilled under vacuum (temp below 45° C.) to yield 13.5 kg Compound IIIC (molar yield=88.3%) as a yellow oil. To a reactor capable of maintaining a temperature of −60° C. was charged (S)-benzyl-1-phenyl ethylamine (18 kg) and THF (75 L). The reaction mixture was cooled to −60° C. To the mixture was charged n-hexyl lithium (42 L of 2.3 M in heptane) while maintaining a temperature of −65 to −55° C., followed by a 30 min agitation within this temperature range. 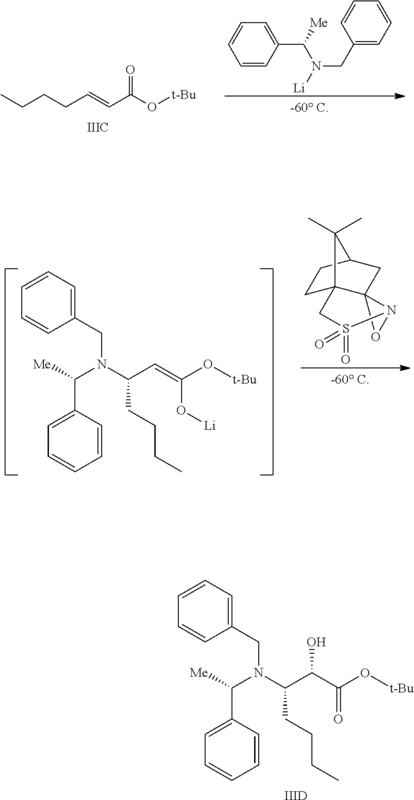 To the in situ-formed lithium amide was charged Compound IIIC over 1 h, keeping the temperature between −65 to −55° C. . The reaction mixture was agitated at this temperature for 30 min to allow for conversion to the enolate intermediate. To the resultant reaction mixture was charged (+)-camphorsulfonyl oxaziridine (24 kg) as a solid, over a period of 2 h, keeping the temperature between −65 to −55° C. . The mixture was agitated at this temperature for 4 h.
The resultant reaction mixture was quenched by the addition of acetic acid (8 kg), keeping the temperature between −60 to −40° C. The mixture was warmed to 20 to 25° C., then charged into a separate reactor containing heptane. The resultant mixture was concentrated under vacuum, keeping the temperature below 35° C. Heptane and water were charged to the reaction mixture, and the precipitated solids were removed by filtration (the desired compound is in the supernatant). The cake was washed with heptane and this wash was combined with the supernatant. The heptane/water solution was agitated, settled, and separated to remove the aqueous layer. An aqueous solution of H2SO4 was charged, and the mixture was agitated, settled, and separated. The heptane layer was washed with a solution of K2CO3. The heptane layer was concentrated under reduced pressure, keeping the temperature below 45° C., and the resulting oil was diluted in toluene, yielding 27.1 kg (active) of Compound IIID (molar yield=81.0%). MS Calculated: 411.28; MS Found (ES+, M+H): 412.22. A similar procedure for this step was reported in: Beevers, R, et al, Bioorg. Med. Chem. Lett. 2002, 12, 641-643. Toluene (324 L) and a toluene solution of Compound IIID (54.2 kg active) was charged to the reactor. TFA (86.8 kg) was charged over about 1.5 h, keeping the temperature below 50° C. The reaction mixture was agitated for 24 h at 50° C. The reaction mixture was cooled to 15° C. and water was charged. NaOH was slowly charged, keeping the temperature below 20° C., to adjust the batch to a pH between 5.0 and 6.0. The reaction mixture was agitated, settled, and separated; the aqueous layer was discarded. The organic layer was concentrated under vacuum, keeping the temperature below 40° C., and the resulting acid intermediate (an oil), was dissolved in 2-MeTHF. In a separate reactor, 2-MeTHF (250 L), HOBt (35.2 kg), and EDCi-HCl (38.0 kg) were charged and the mixture was adjusted to a temperature between 0 to 10° C. DIPEA (27.2 kg) was charged, keeping the mixture within this temperature range. The mixture was agitated for 5 min, followed by the addition of cyclopropyl amine (11.4 kg), keeping the temperature between 0 to 10° C.
To this solution was charged the 2-MeTHF/ acid intermediate solution, keeping the resultant solution between 0 to 10° C. The resultant mixture was heated to 25 to 35° C., and was agitated at this temperature for about 4 h. The reaction mixture was cooled to about 20° C., and was washed with aqueous citric acid, aqueous K2CO3, and water. The solvent was exchanged to n-heptane, and the desired compound was crystallized from a mix of n-heptane and toluene by cooling to 0° C. The crystalline product was filtered, washed with n-heptane, and dried to yield 37.1 kg Compound IIIE (molar yield=70.7%). MS Calculated: 394.26; MS Found (ES+, M+H): 395.22. To a pressure reactor was charged acetic acid (1.1 kg), methanol (55 kg), and Compound IIIE (10.9 kg). In a separate vessel, Pd/C (50% water wet, 0.5 kg) was suspended in methanol (5 kg). The Pd/C suspension was transferred to the solution containing Compound IIIE. The resultant mixture was pressurized to 80 psi with hydrogen, and agitated at 60° C. for 7 h. The reaction mixture was then purged with nitrogen, and the Pd/C catalyst was filtered off. The resultant solution was concentrated under vacuum and adjusted to about 20° C. MTBE was charged, and the resultant solution was brought to reflux. Concentrated HCl (3 L) was charged and the product was crystallized by cooling the reaction mixture to about 3° C. The desired compound was filtered, washed with MTBE, and dried under vacuum, keeping the temperature below 40° C. to yield 5.5 kg Compound III (molar yield=83.0%). MS Calculated (free base): 200.15; MS Found (ES+, M+H): 201.12. Compound Va (119.3 kg) was dissolved in 2-MeTHF (720 kg) and water (180 kg). To this solution was charged 50% NaOH (21.4 kg) while maintaining a temperature between 20 and 30° C. The reaction mixture was then agitated for about 7 h at a temperature between 50 and 60° C. The reaction mixture was cooled to a temperature between 20 and 30° C.
The pH of the reaction mixture was adjusted to 1.5-3.0 with dilute phosphoric acid, maintaining a temperature between 20 and 30° C. The resultant mixture was agitated for 10 min, settled for 30 min, and the bottom aqueous layer was separated and removed. The top organic layer was washed with water, followed by concentration by atmospheric distillation. The concentrated solution was solvent exchanged to CH3CN by continuous atmospheric distillation, and crystallized by cooling to 0° C. The crystalline product was filtered, washed with CH3CN, and dried under vacuum at a temperature between 45 and 55° C. to yield 97.9 kg Compound II (molar yield=83.7%). MS Calculated: 527.30; MS Found (ES+, M+H): 528.29. Compound II (21.1 kg), Compound III (9.9 kg), HOBt (3.2 kg) and EDCi (11.2 kg) were charged to the vessel, followed by CH3CN (63 kg), ethyl acetate (20 kg) and water (1.5 kg). The reaction mixture was agitated and the heterogeneous mixture was cooled to −5 to +5° C. DIPEA (11.2 kg) was charged to the reaction mixture, maintaining a temperature between −5 to +5° C. and the mixture was agitated at a temperature of −5 to +5° C. for 1 h. The resultant reaction mixture was warmed to 20 to 30° C. and agitated for 2 to 3 h.
The resultant product was extracted with aqueous HCl, aqueous K2CO3, and water. The desired product was crystallized from ethyl acetate by cooling from reflux (78° C.) to about 0° C. The crystalline product was filtered and dried at 30° C. under vacuum to yield 23.1 kg Compound IV (molar yield=81.3%). MS Calculated: 709.44; MS Found (ES+, M+H): 710.47. Compound IV (22.5 kg), TEMPO (5 kg), NaOAc (45 kg), methyl acetate (68 L), MTBE (158 L), water (23 L) and acetic acid (22.5 L) were charged to the reactor. The reaction mixture was stirred at 20-30° C. to allow for dissolution of the solids, and was then cooled to 5-15° C. NaOCl solution (1.4 molar equivalents) was charged to the reaction mixture, keeping the temperature at about 10° C. After complete addition of NaOCl, the reaction mixture was agitated at 10° C. for 2 h.
The reaction was quenched by washing with a buffered sodium ascorbate/HCl aqueous solution, followed by a water wash. The reaction mixture was solvent exchanged to acetone under vacuum, keeping the temperature below 20° C.; the desired product was crystallized by the addition of water, and dried under vacuum, keeping the temperature below 40° C. to yield 18.6 kg Compound I (molar yield=82.7%). MS Calculated: 707.43: MS Found (ES+, M+H): 708.44.